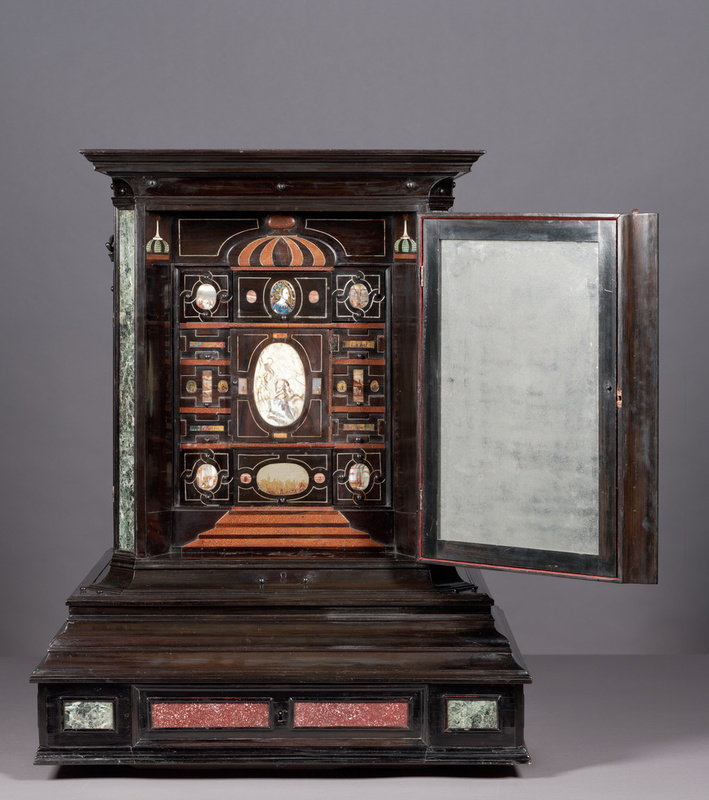 Each of the four sides of this cabinet opens to reveal an unexpectedly complex series of drawers. 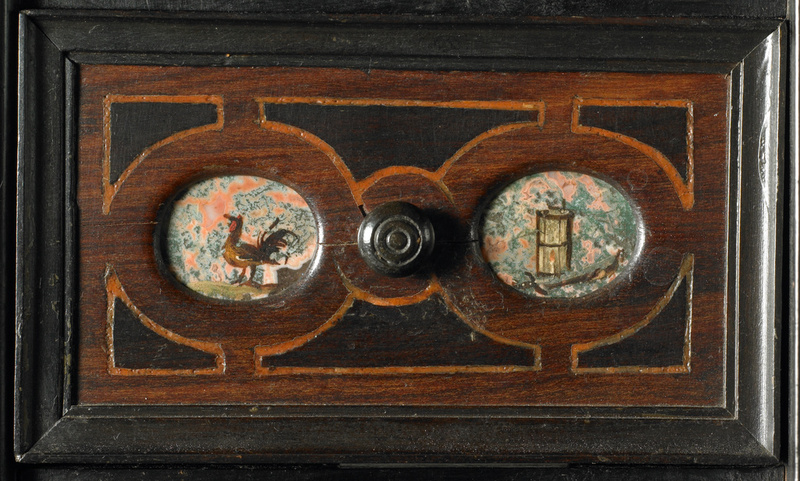 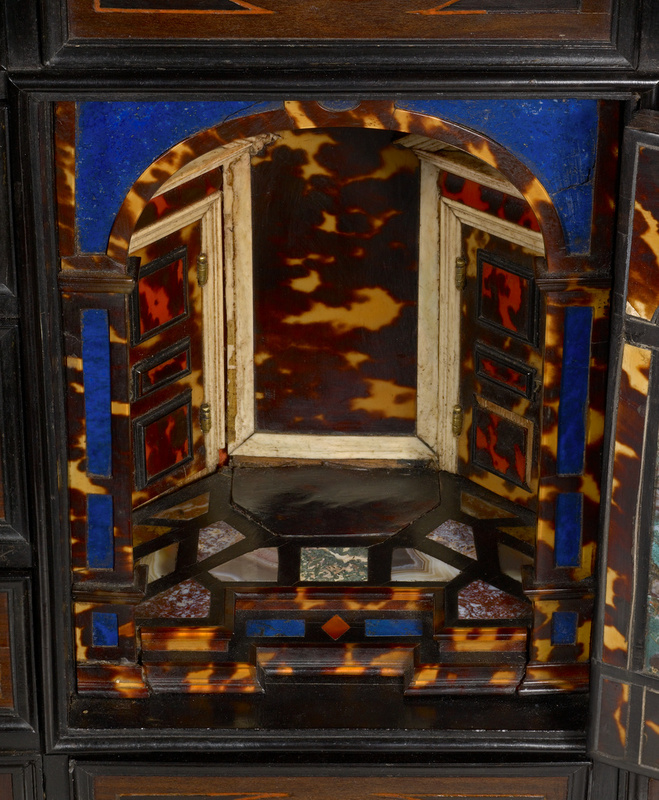 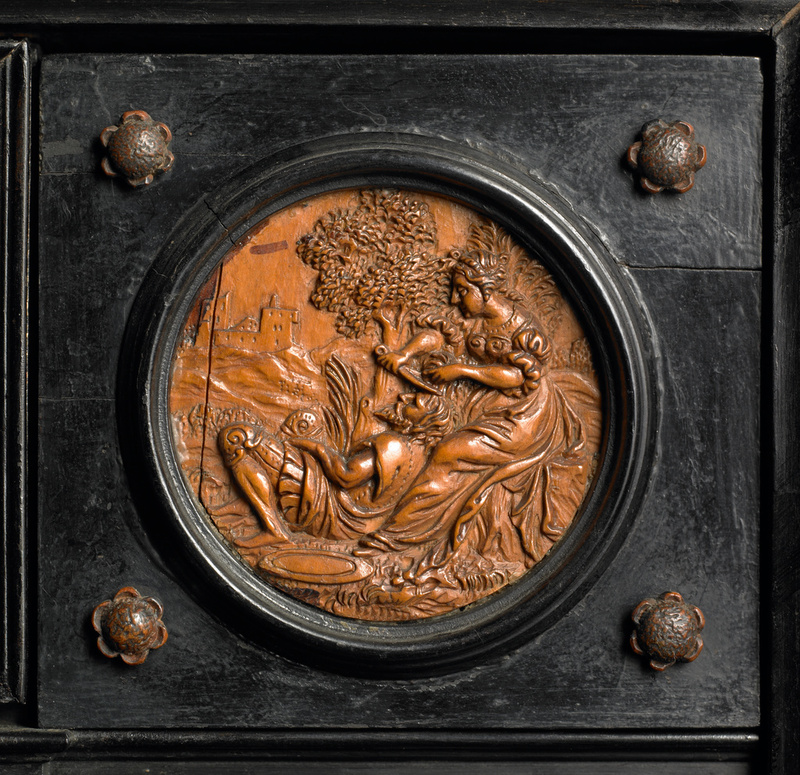 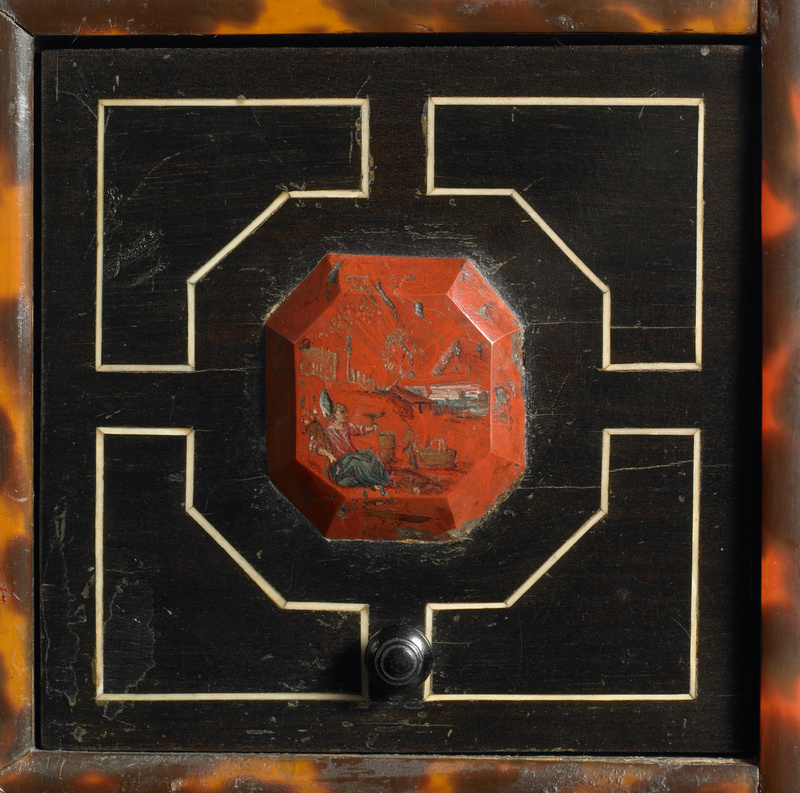 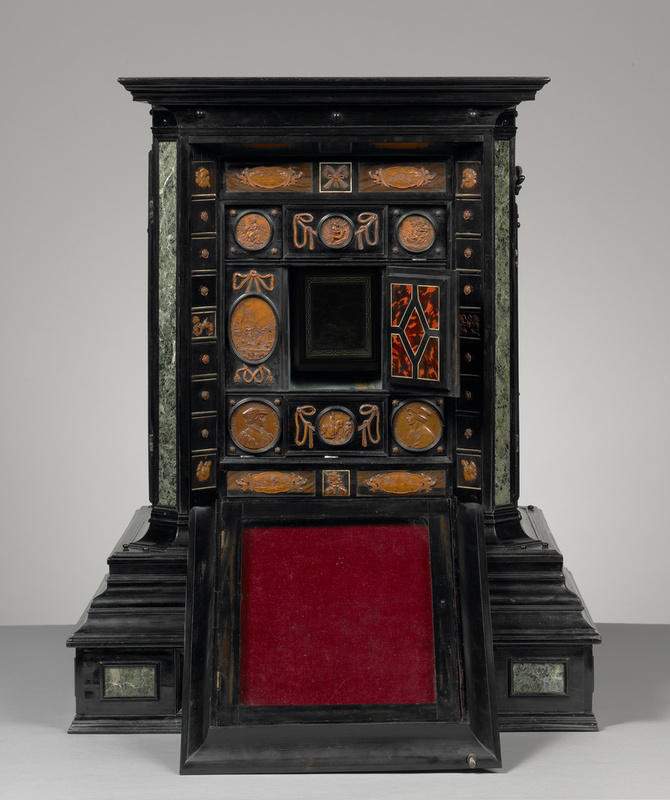 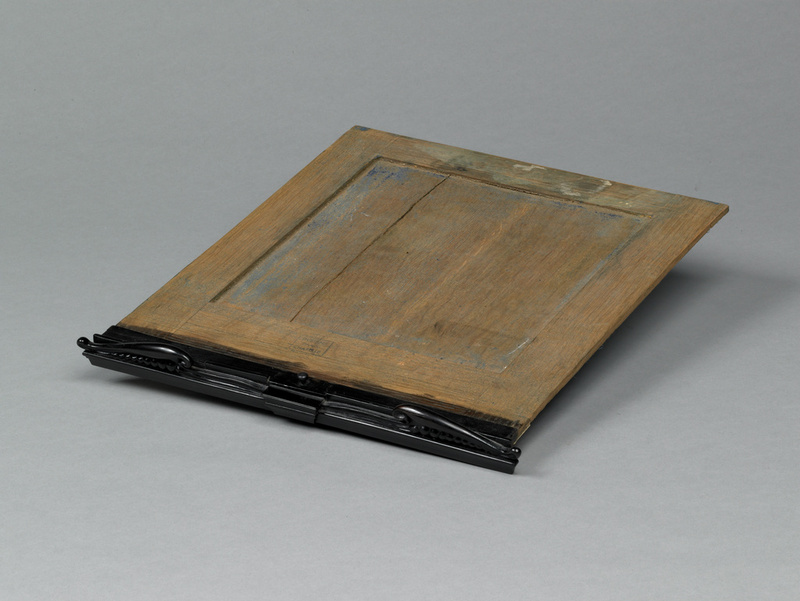 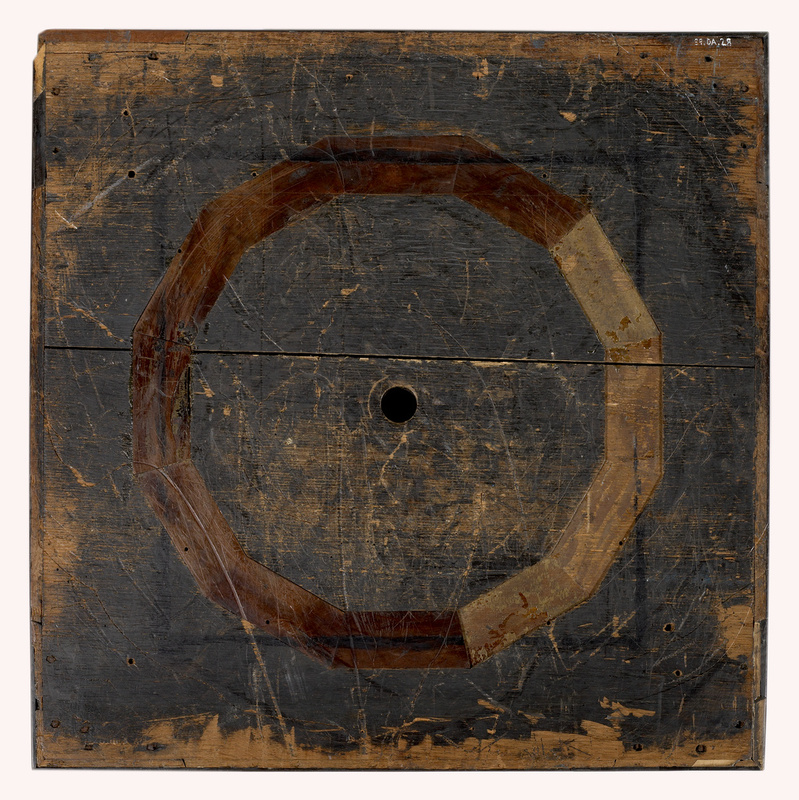 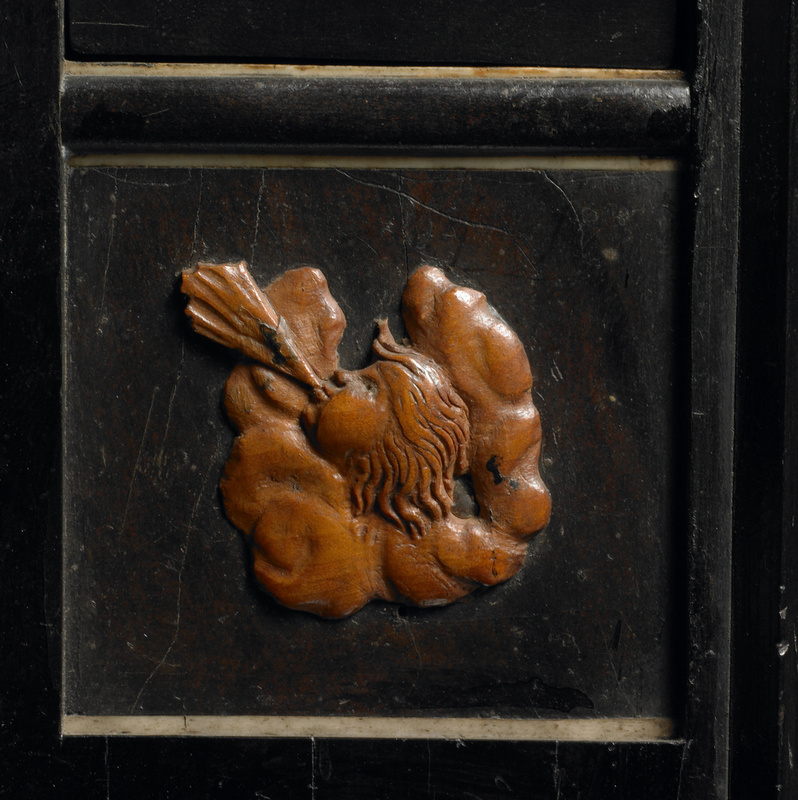 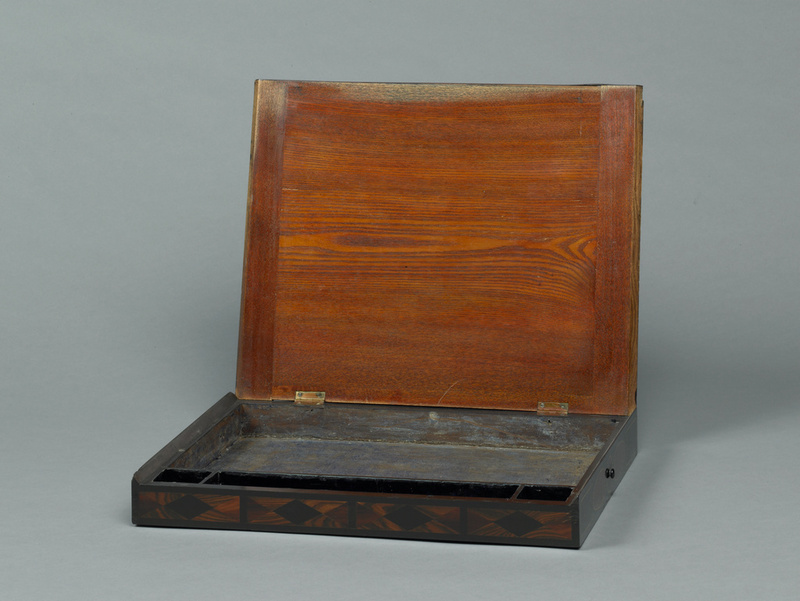 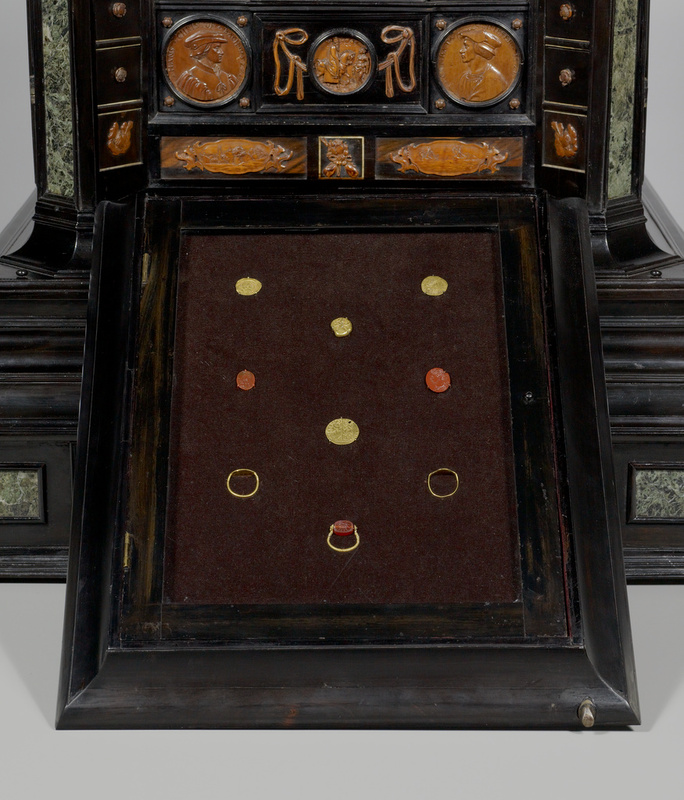 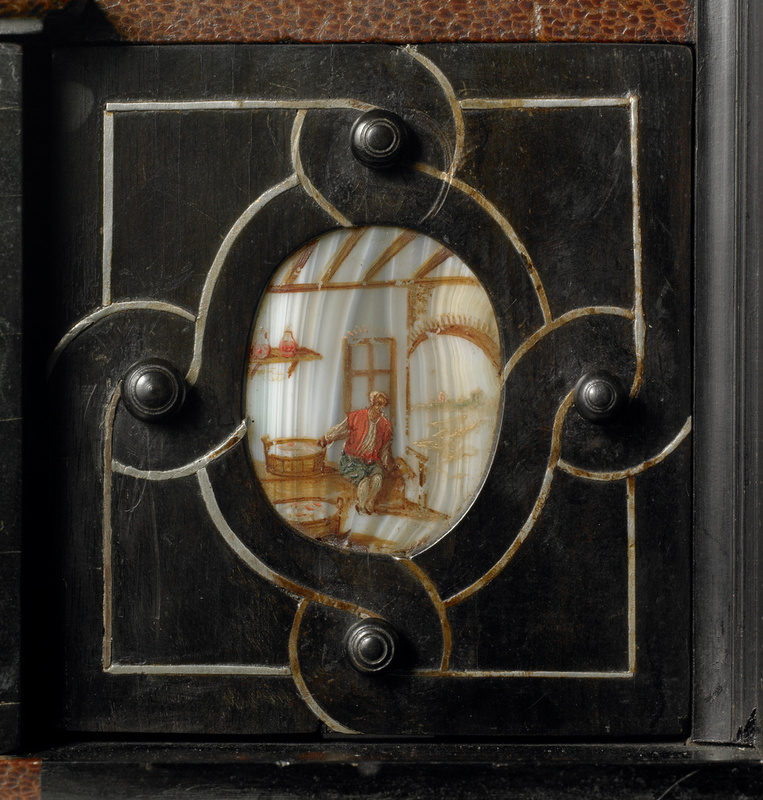 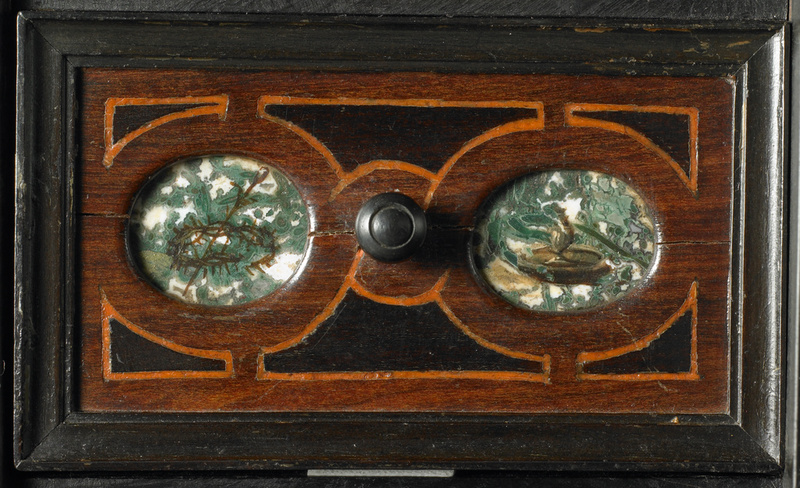 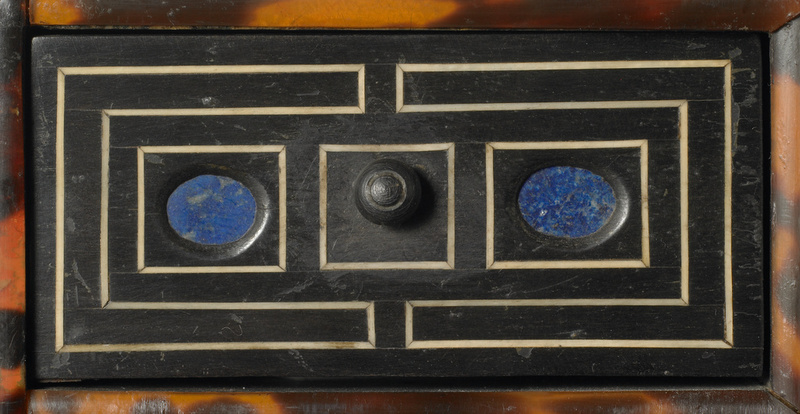 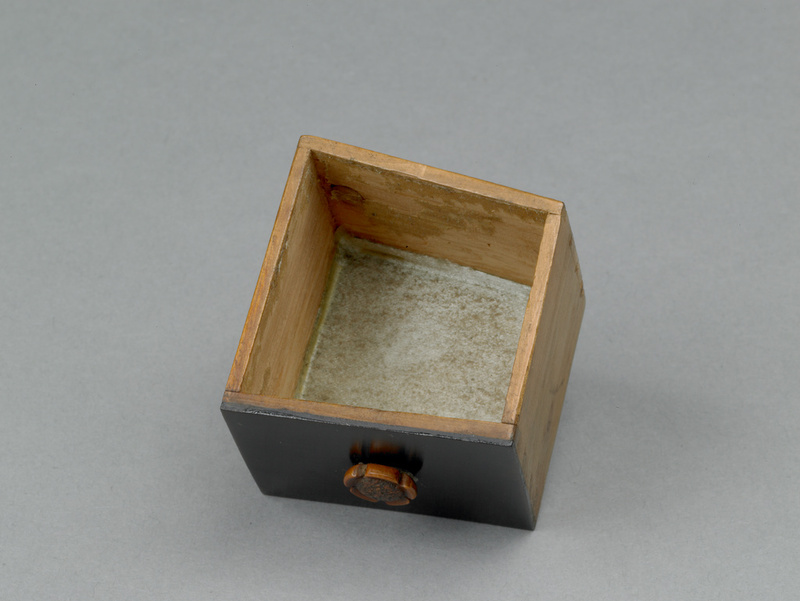 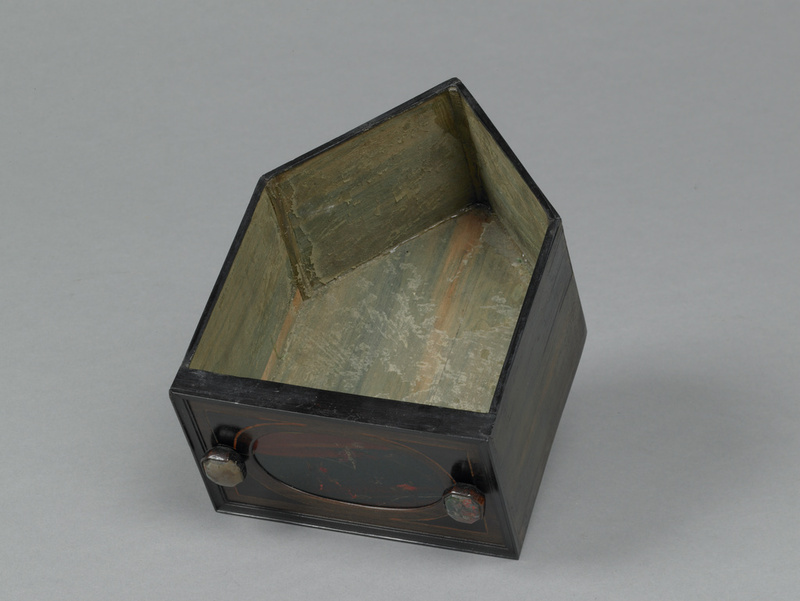 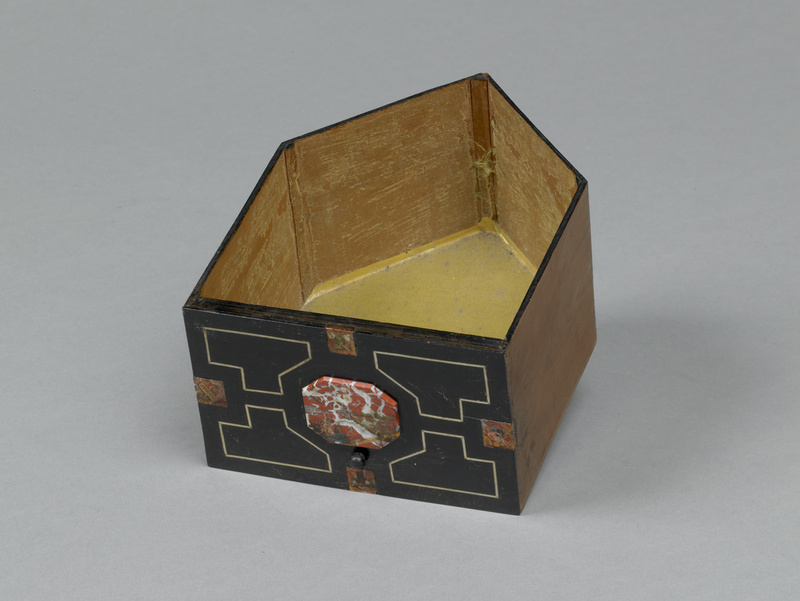 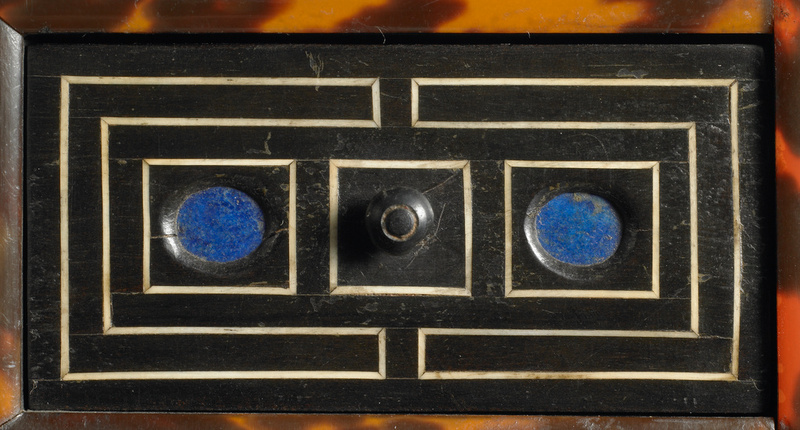 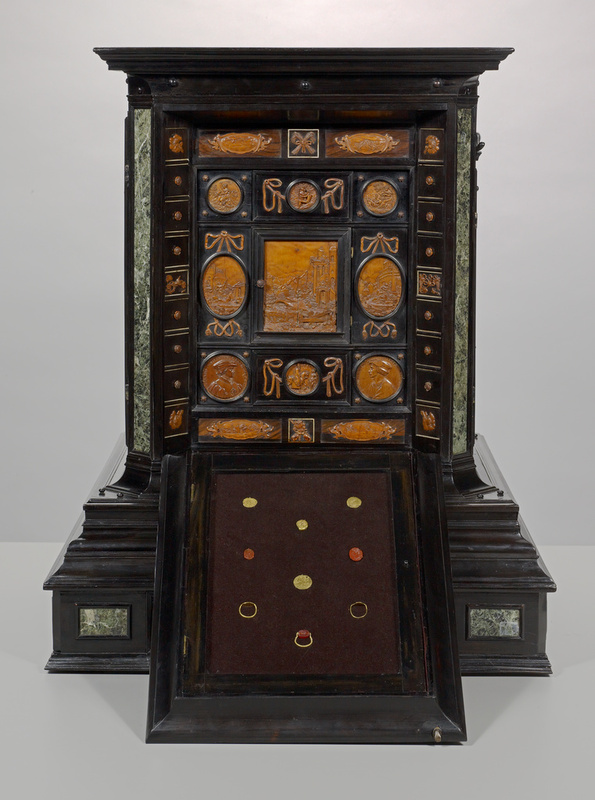 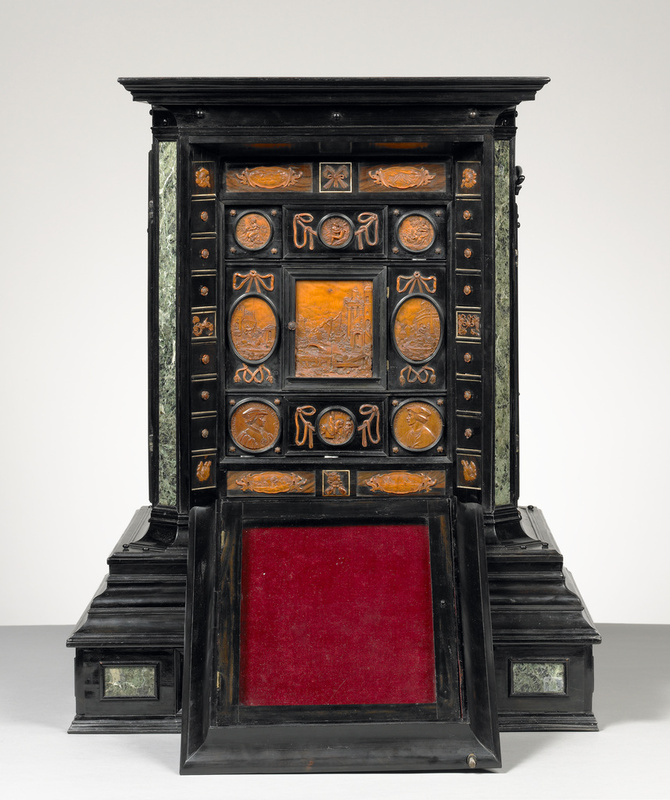 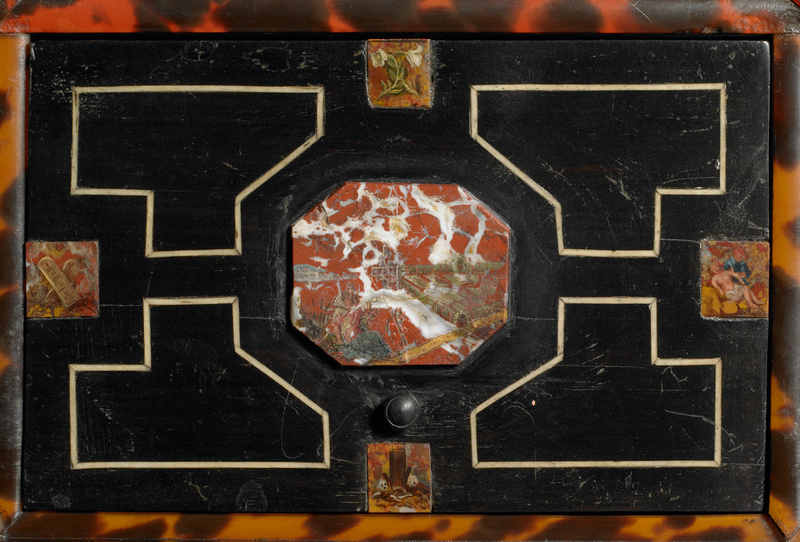 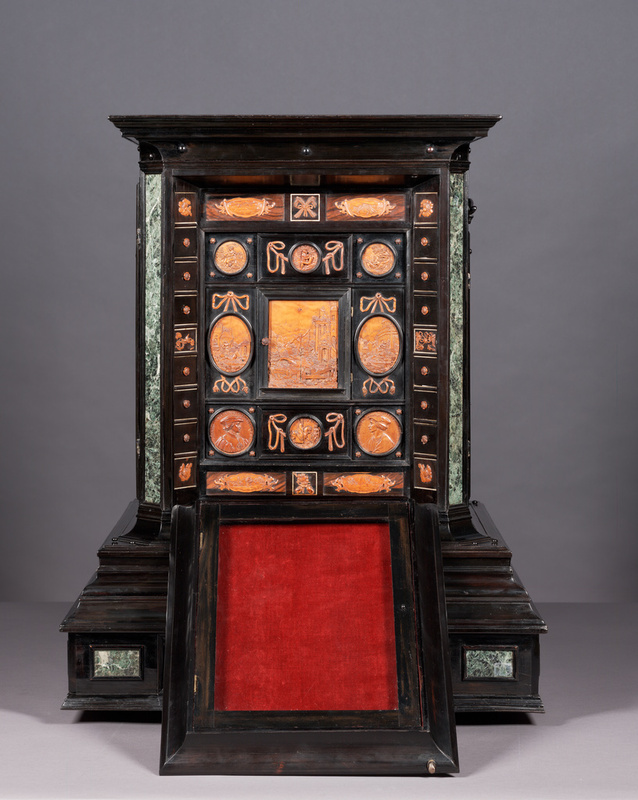 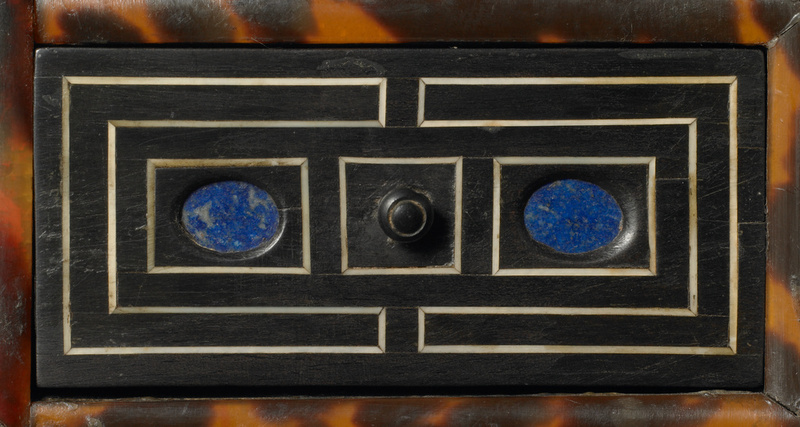 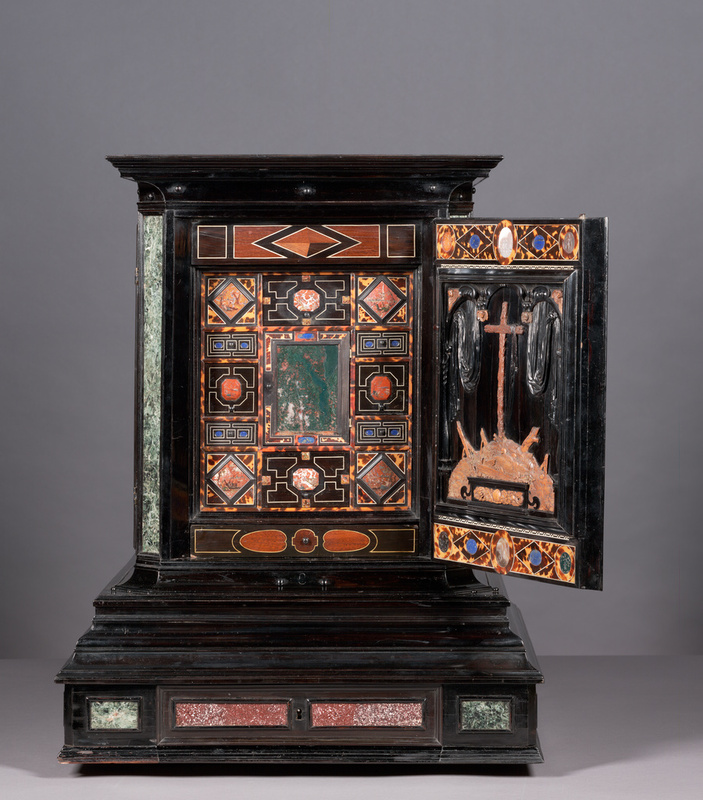 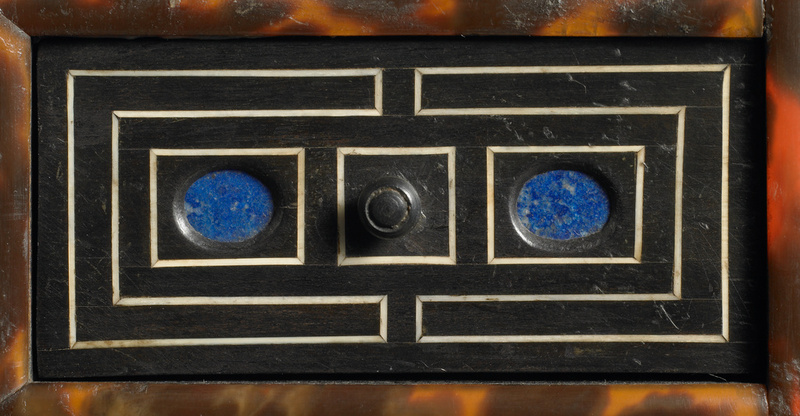 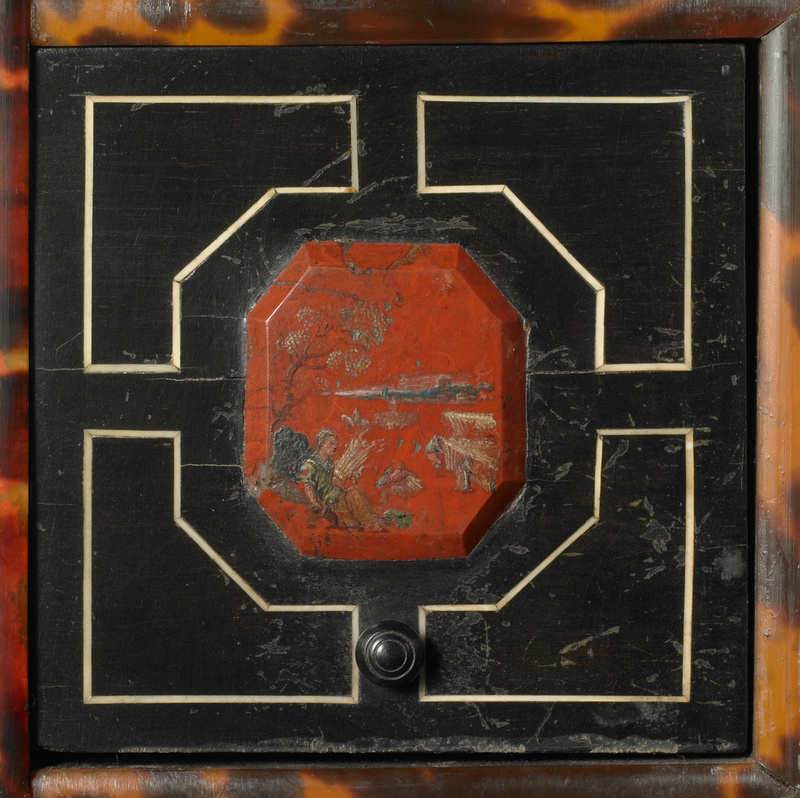 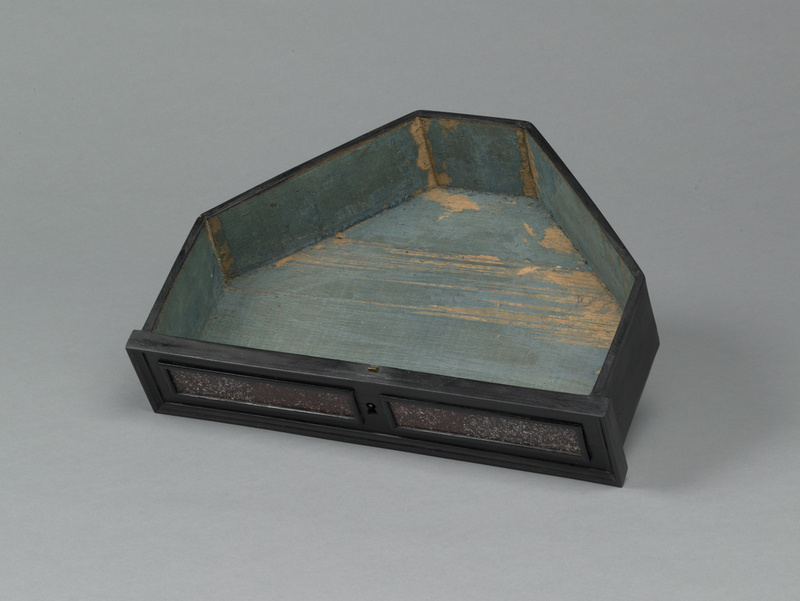 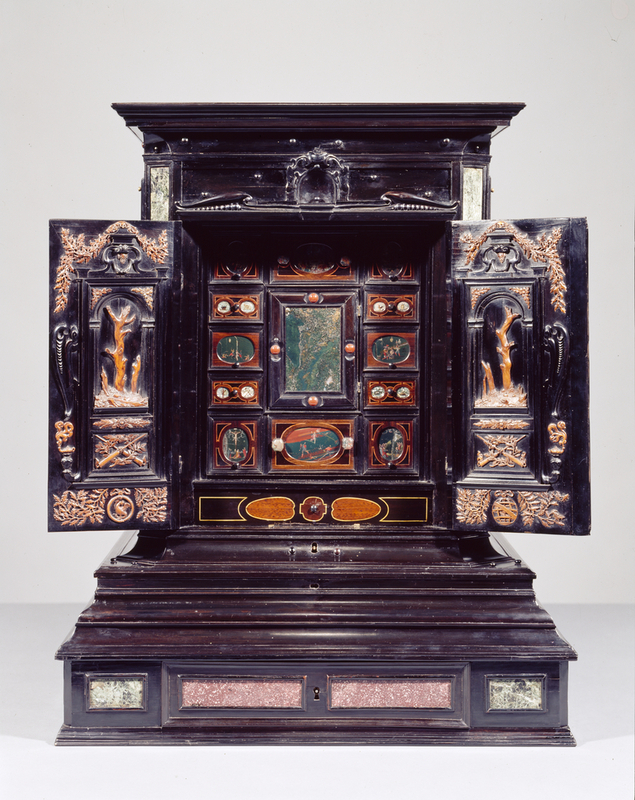 Collectors from the early 1600s would have used cabinets of this kind to store such rare and exotic objects as medals, gems, or shells. 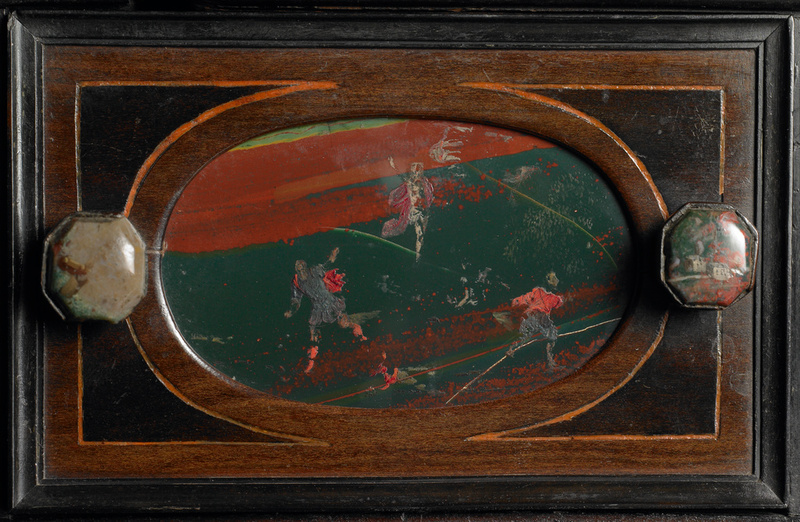 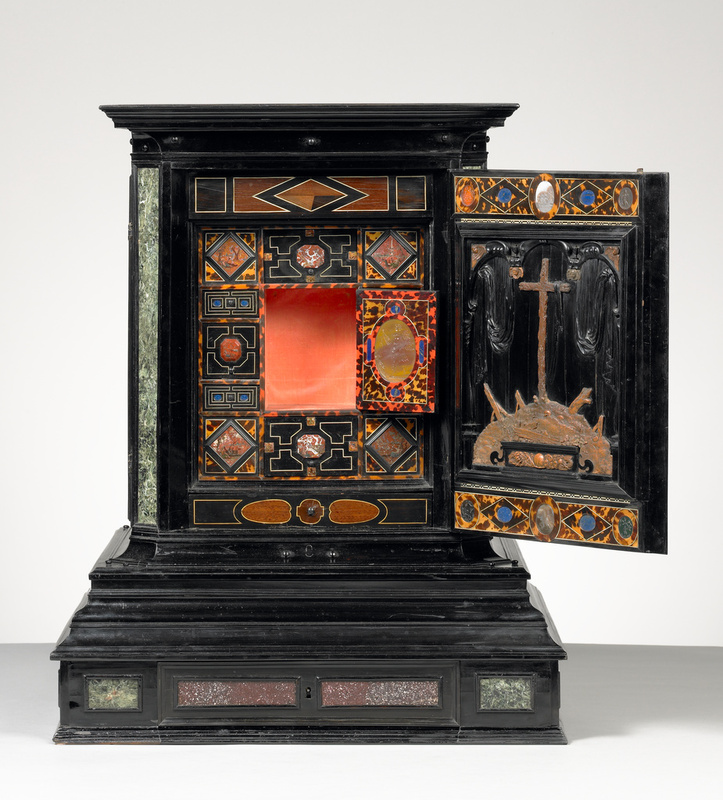 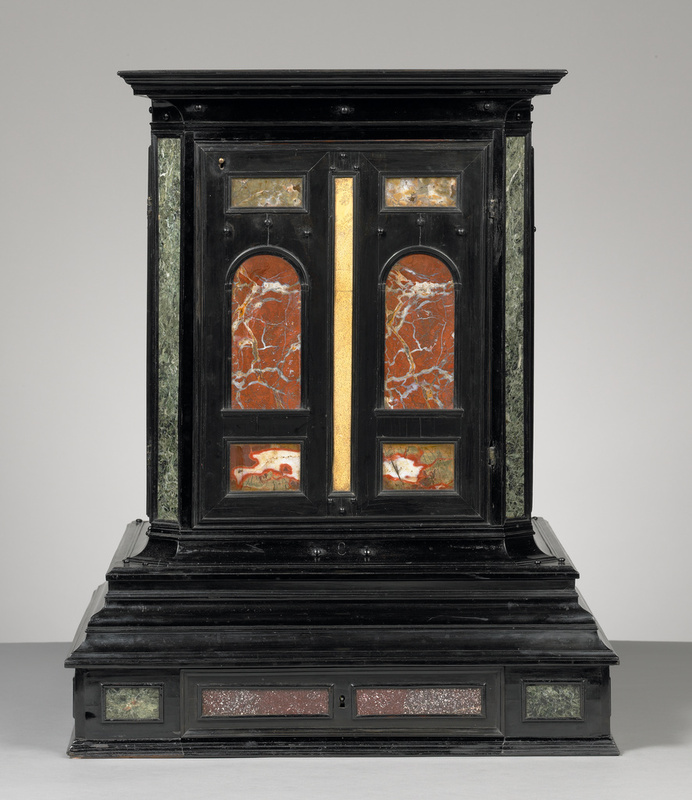 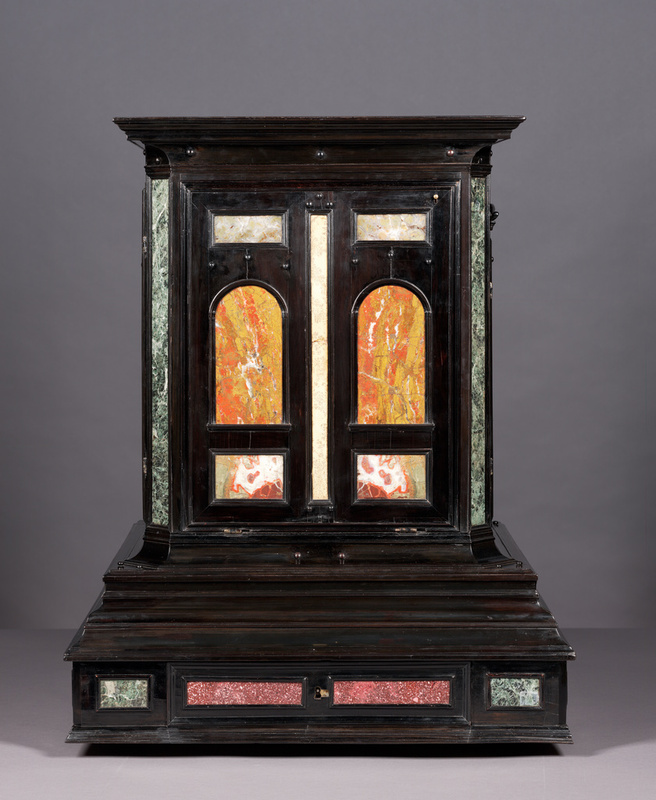 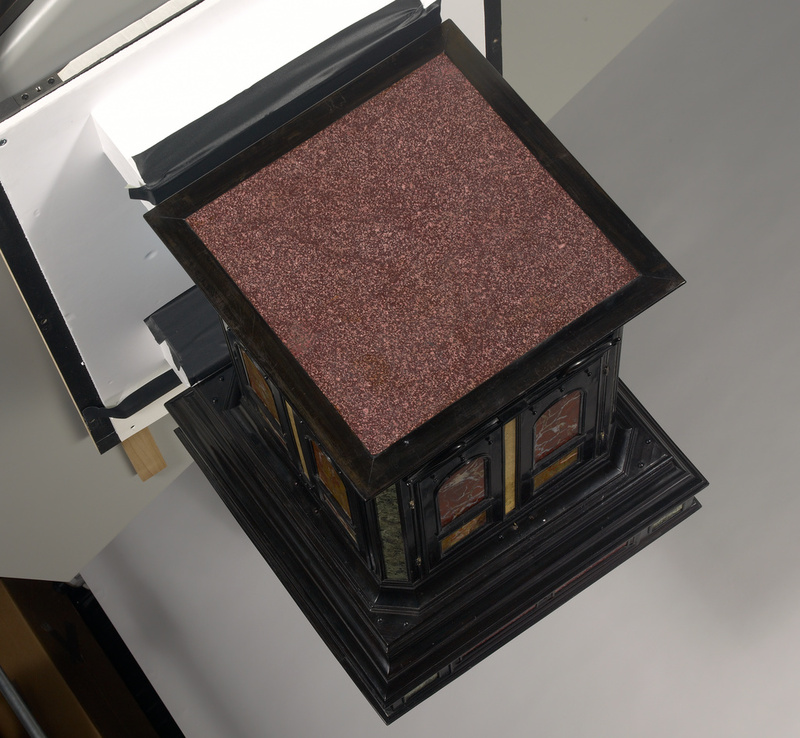 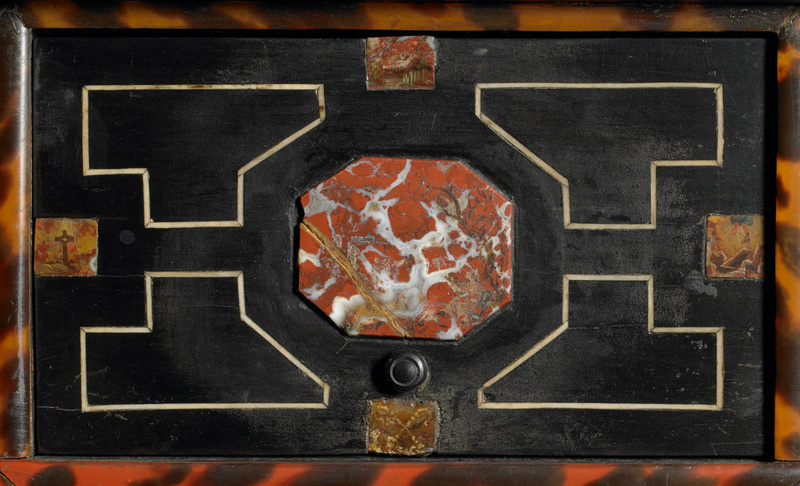 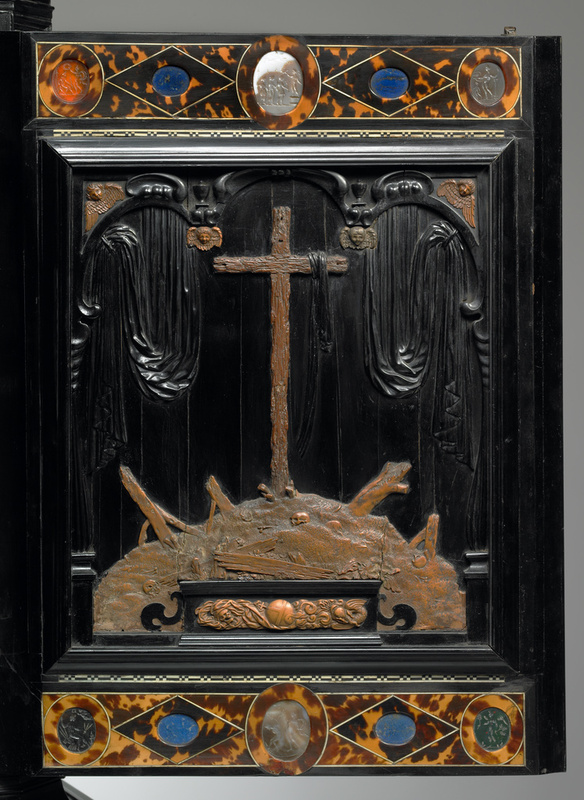 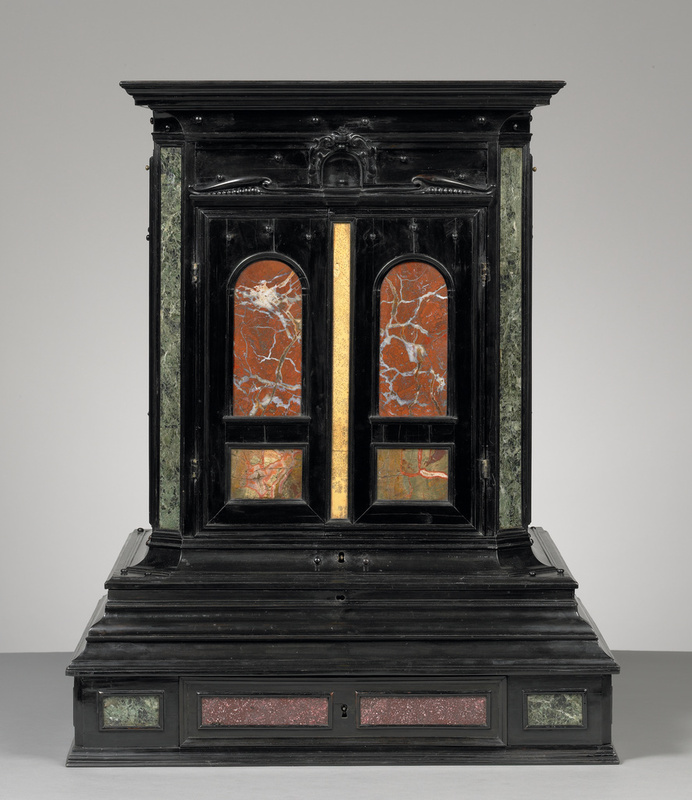 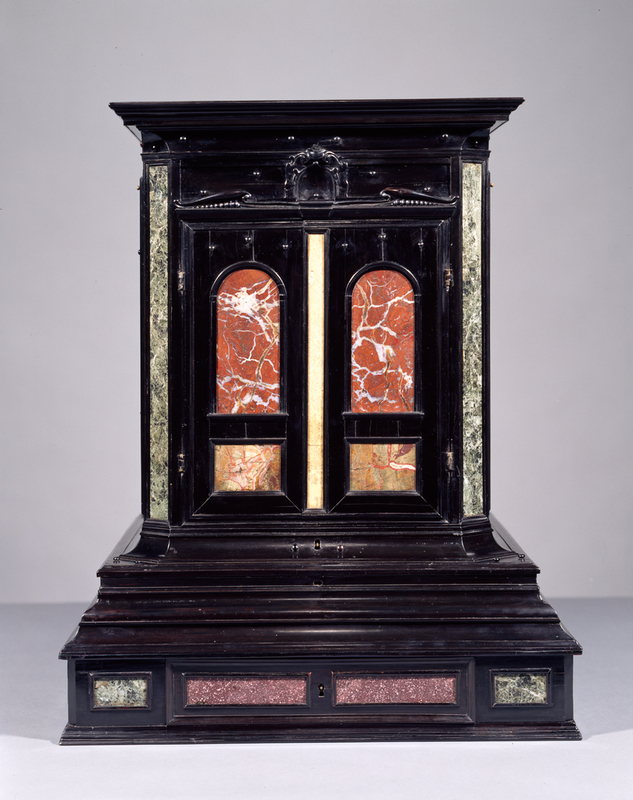 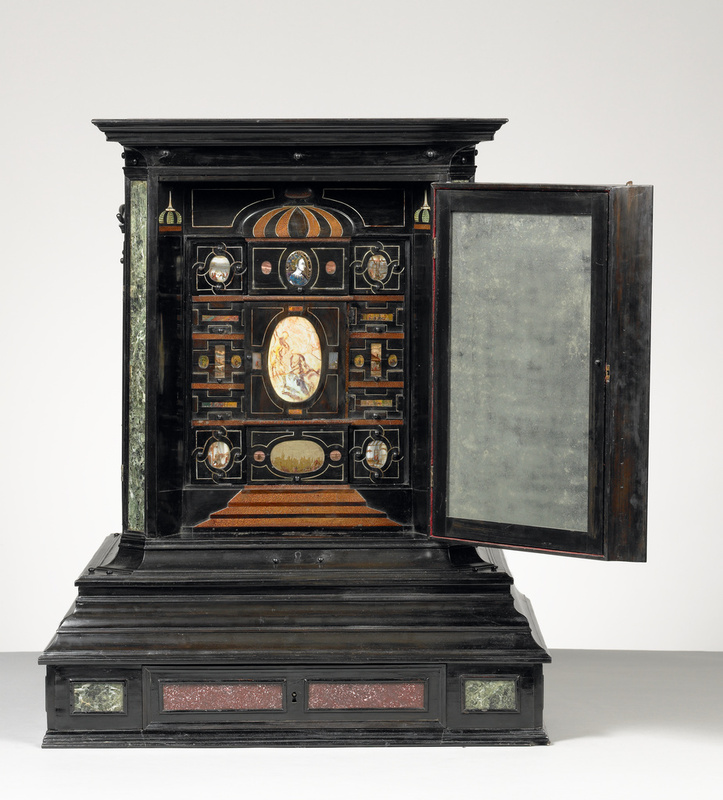 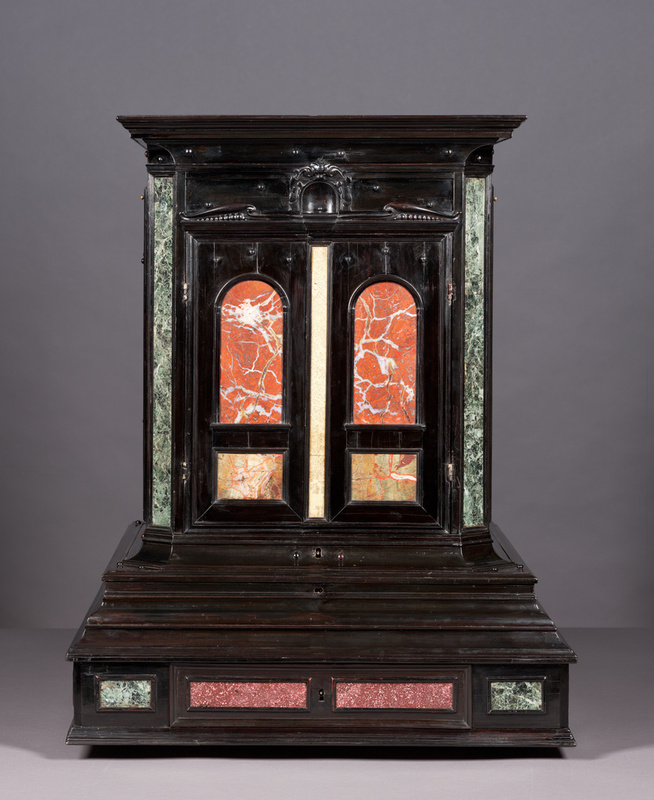 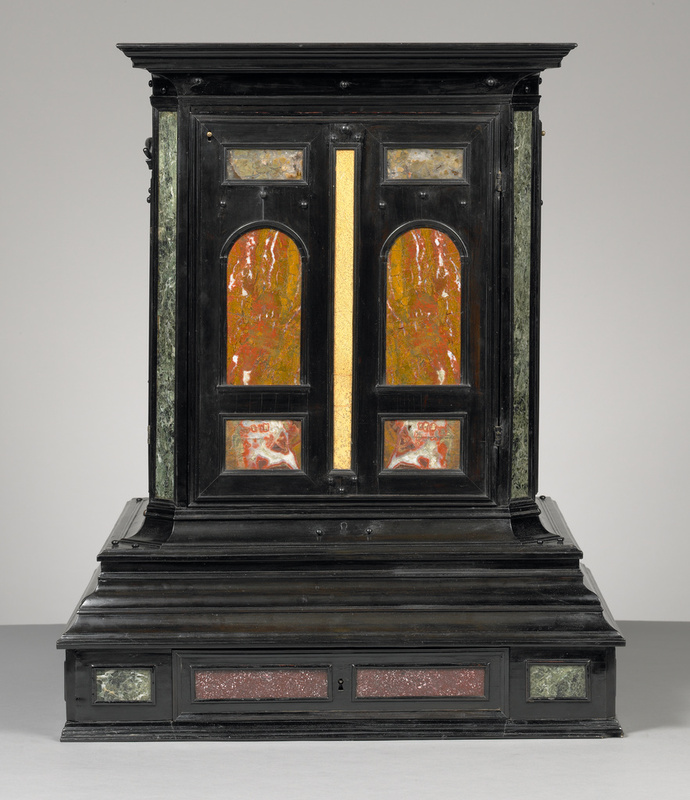 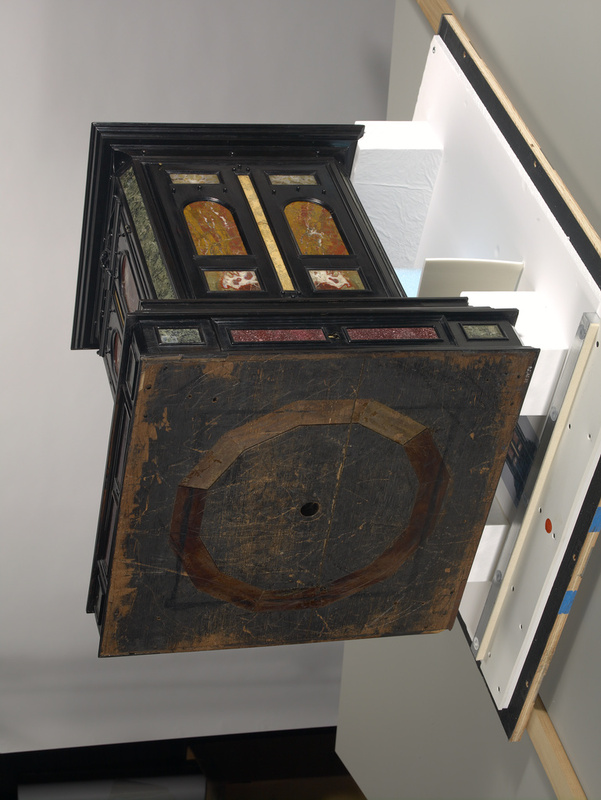 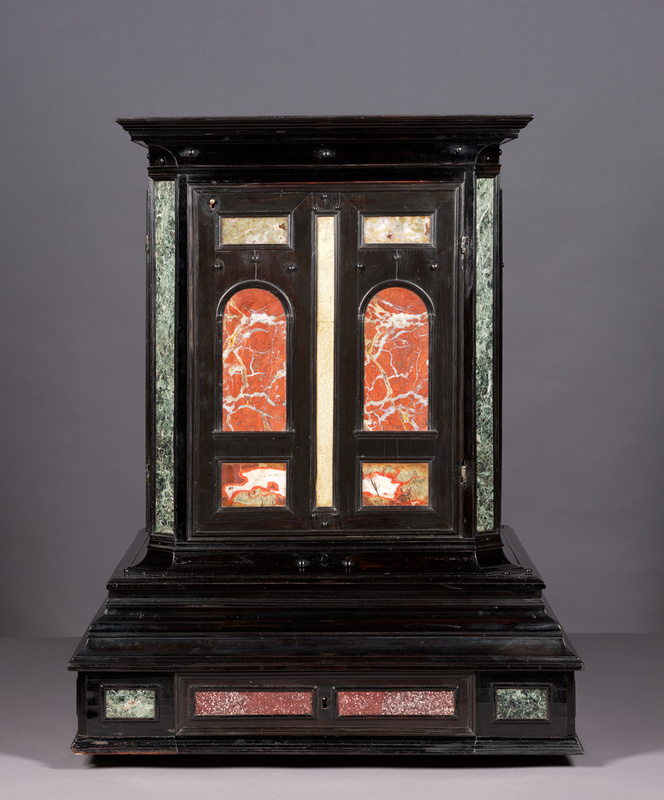 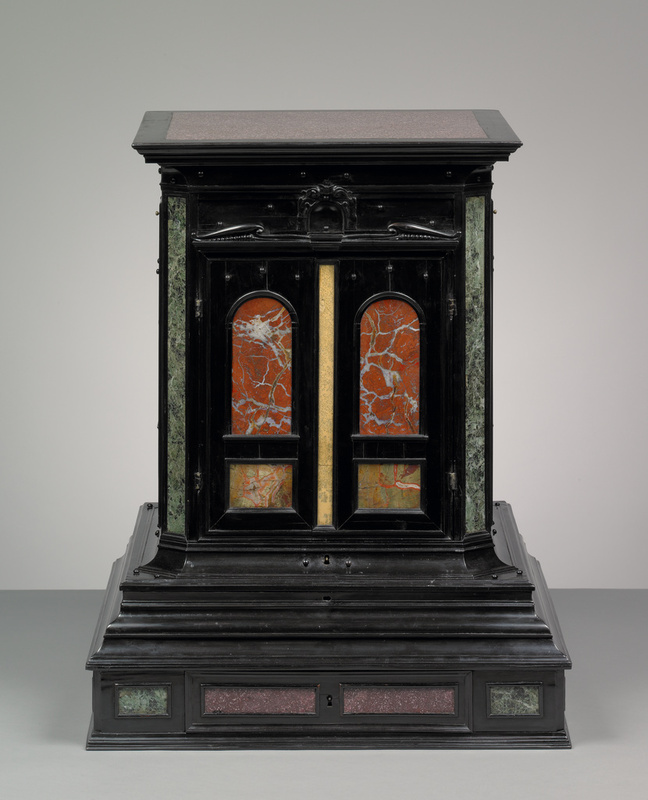 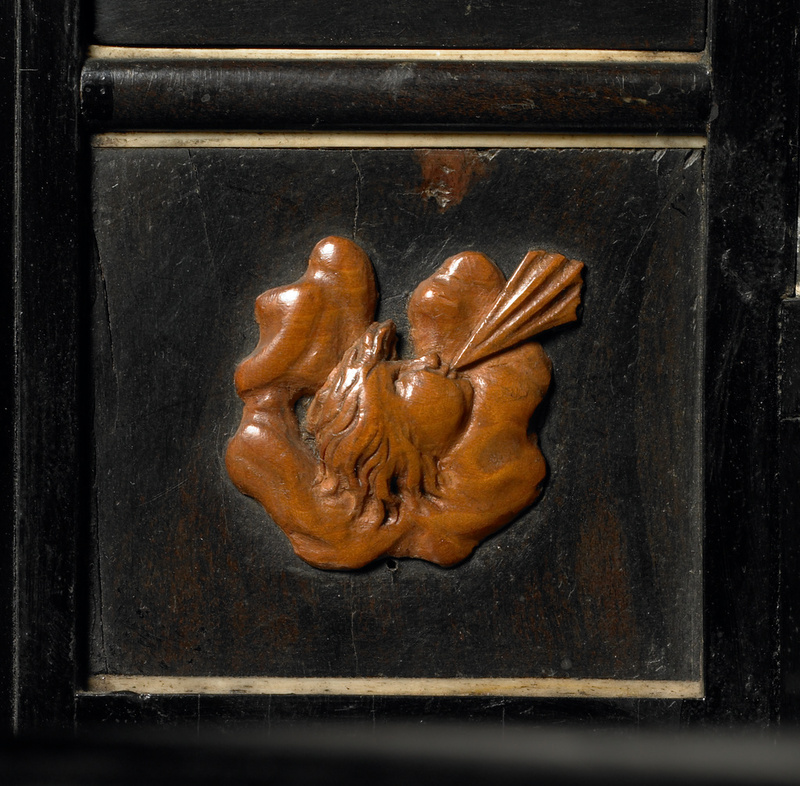 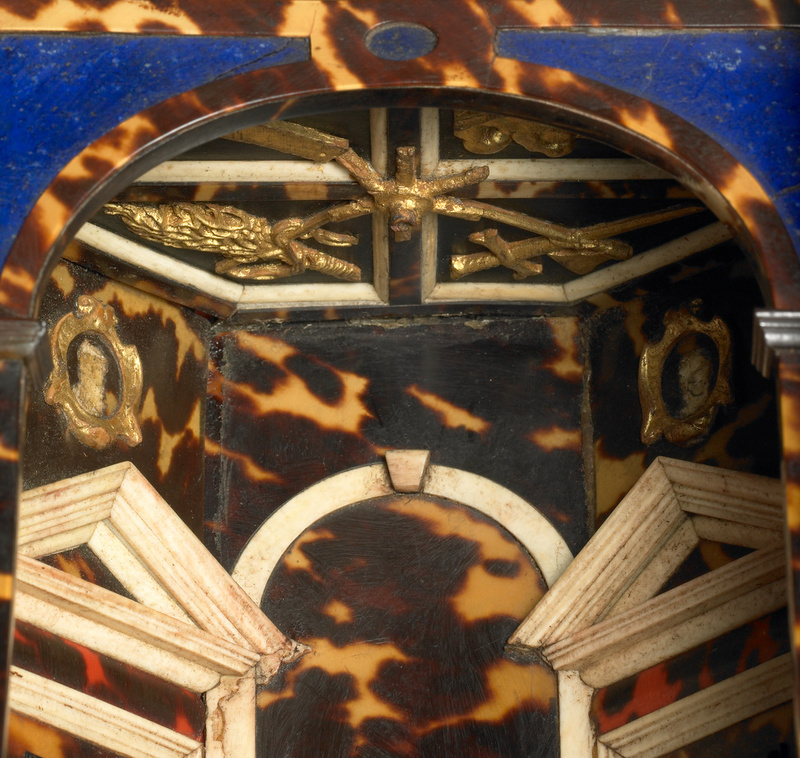 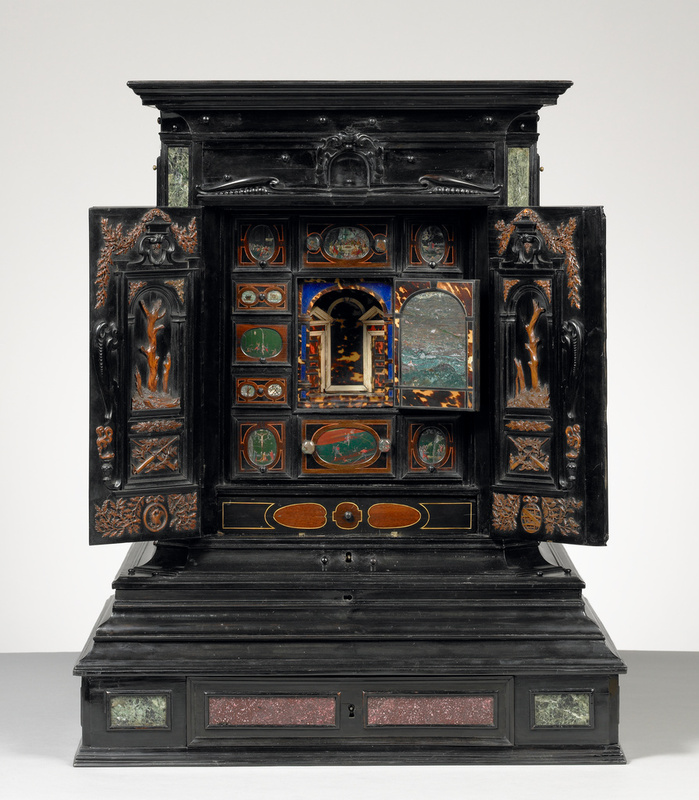 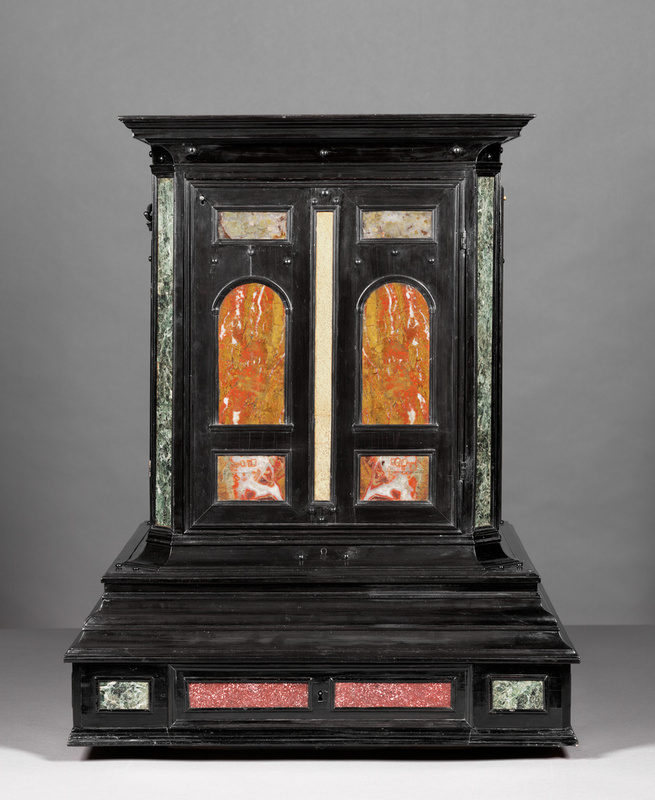 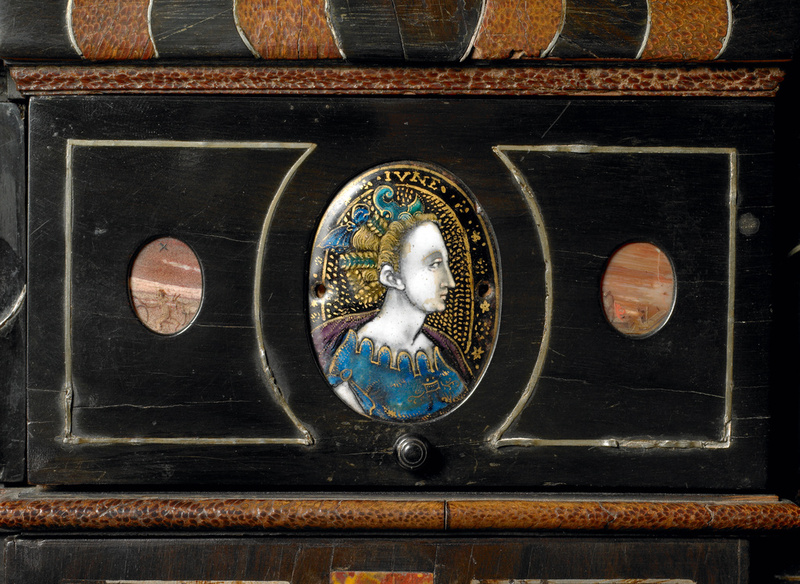 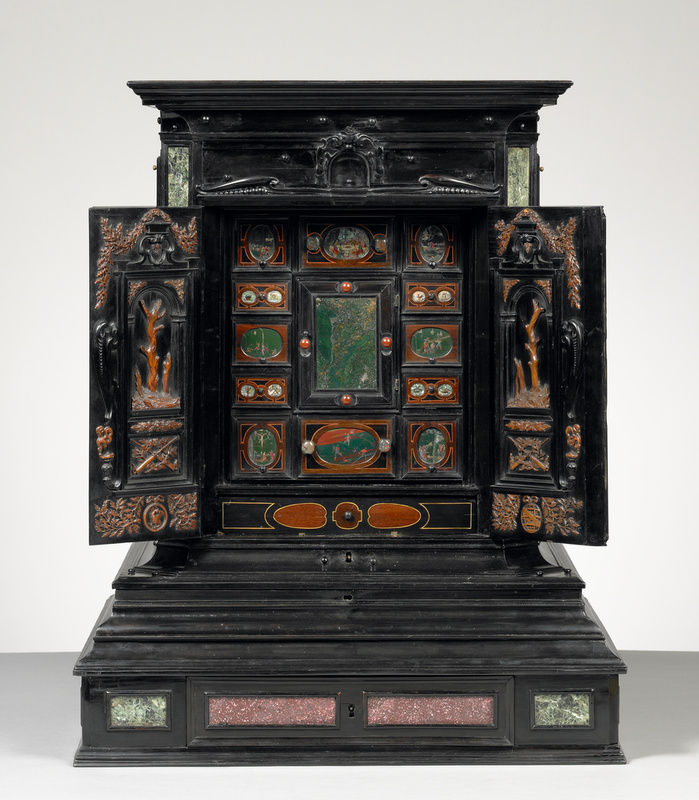 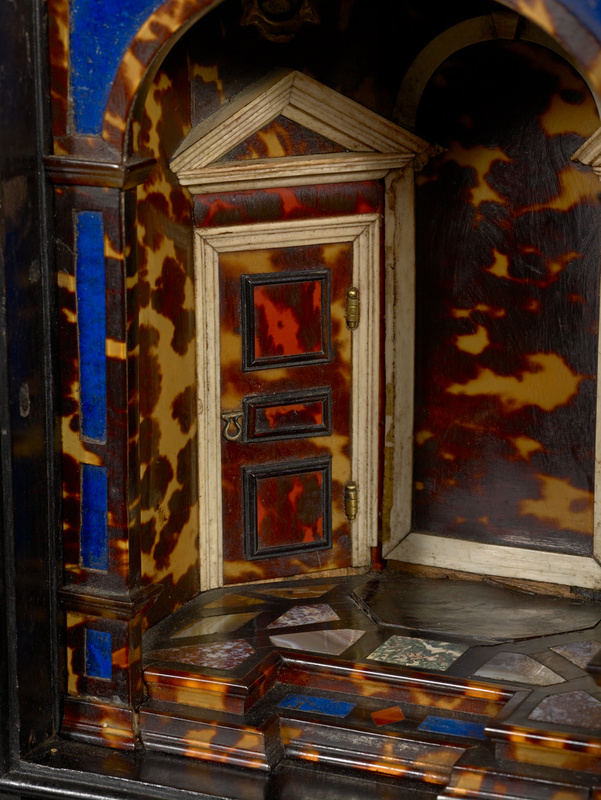 The cabinet, however, was conceived as a work of art in its own right. 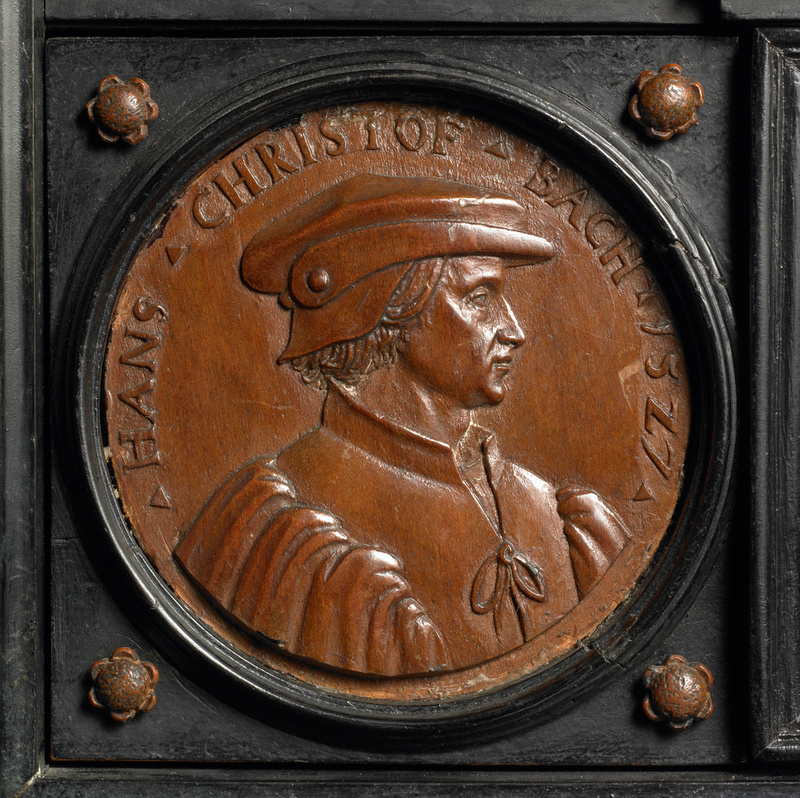 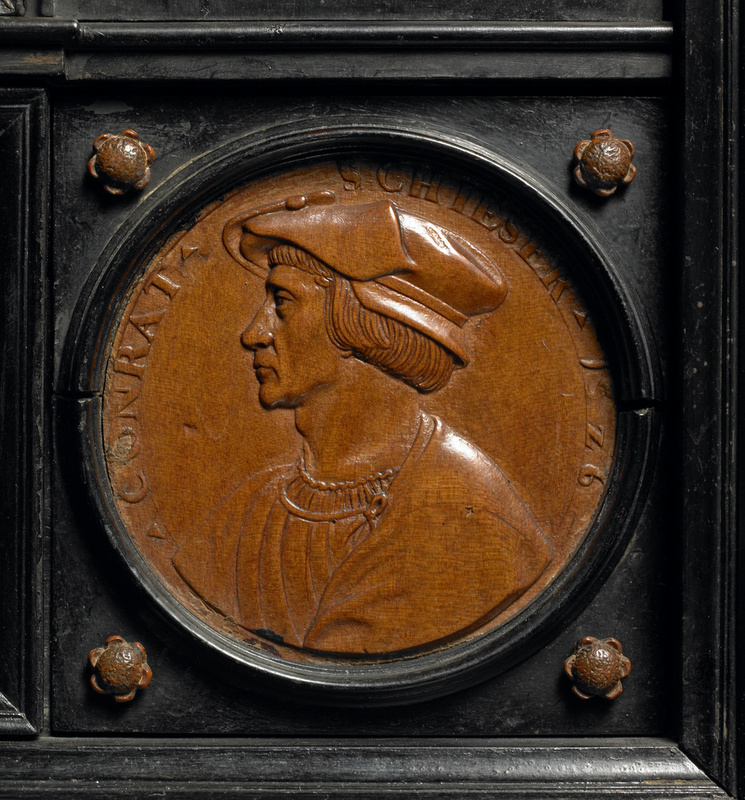 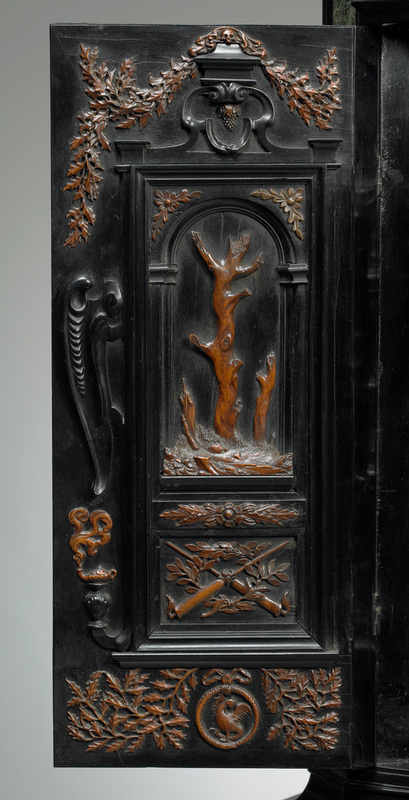 Various masters would have executed the cabinet's diverse decoration, although only one can be named: the Dutch carver Albert Jansz. 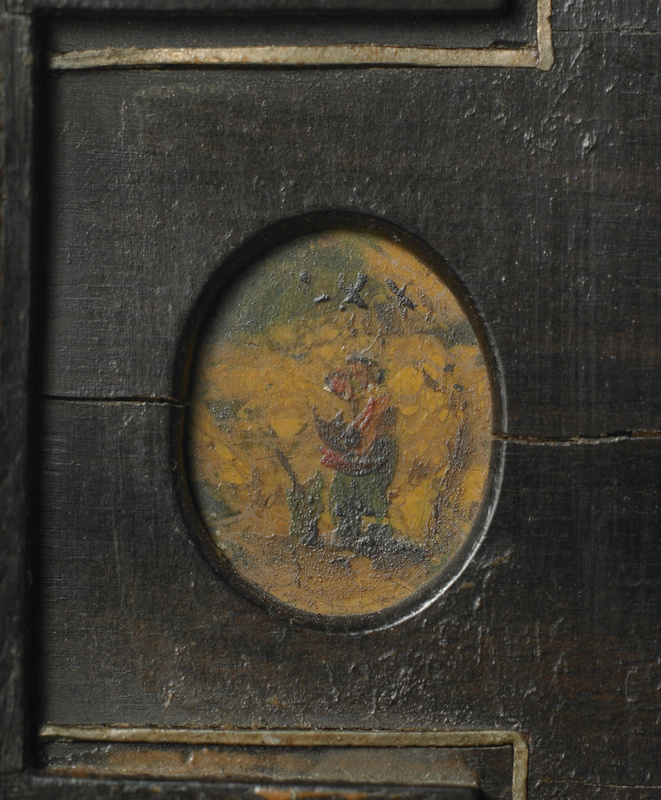 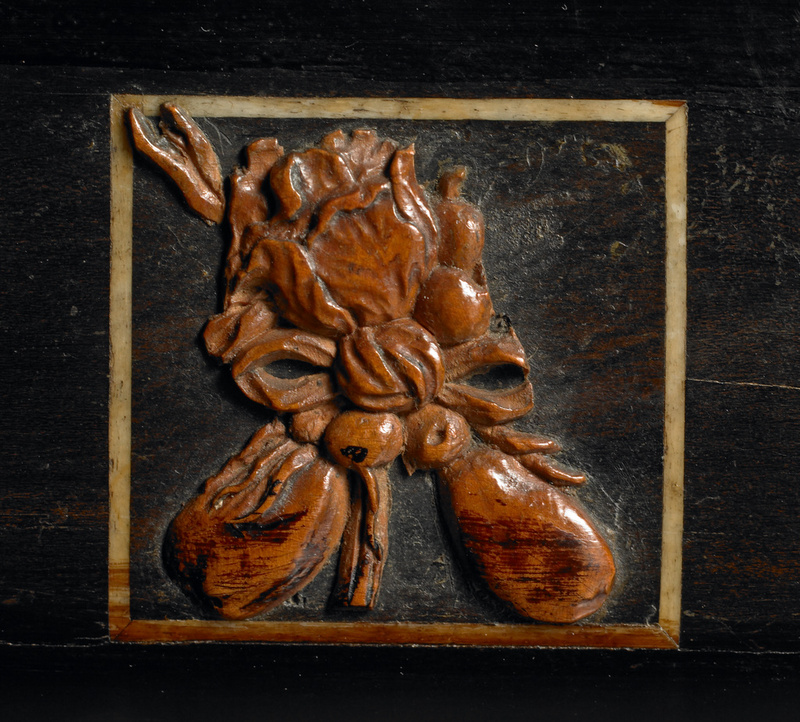 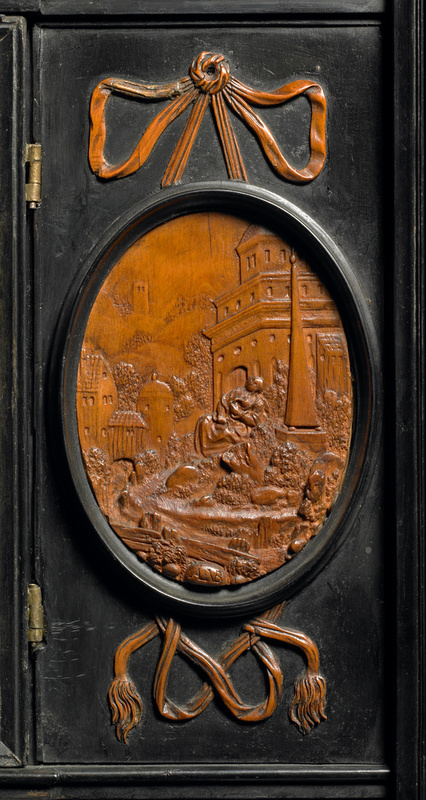 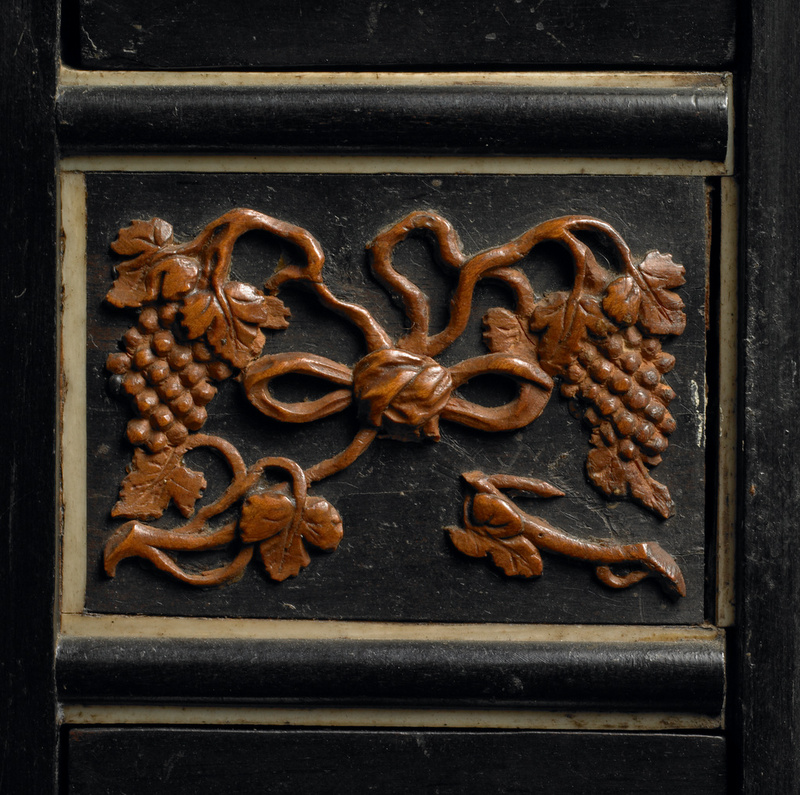 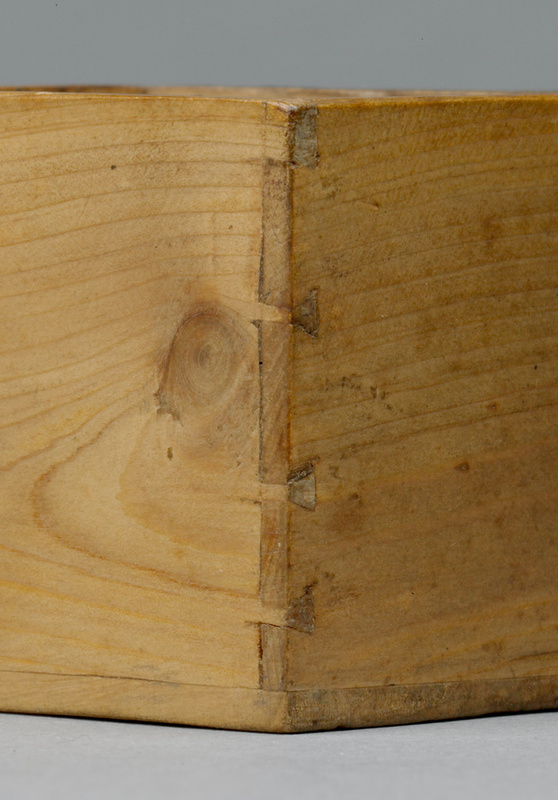 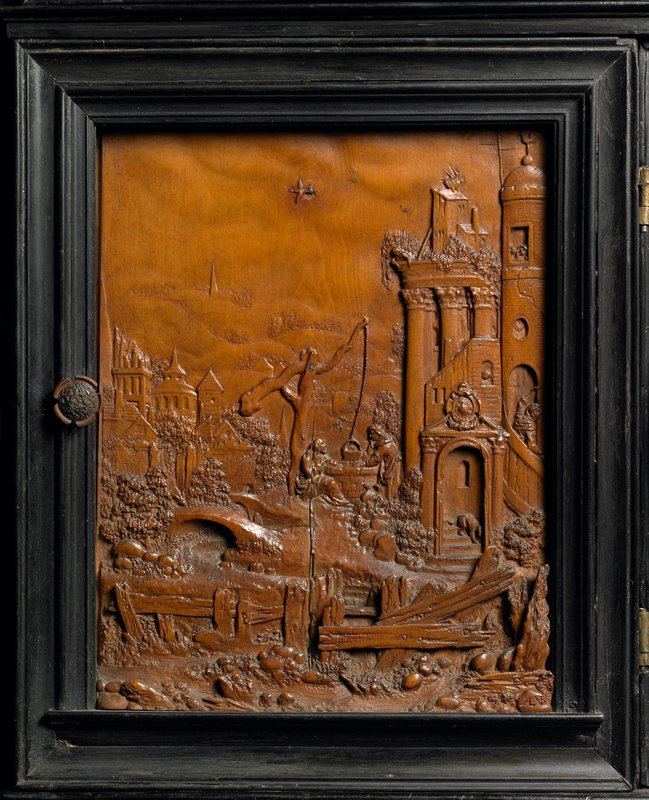 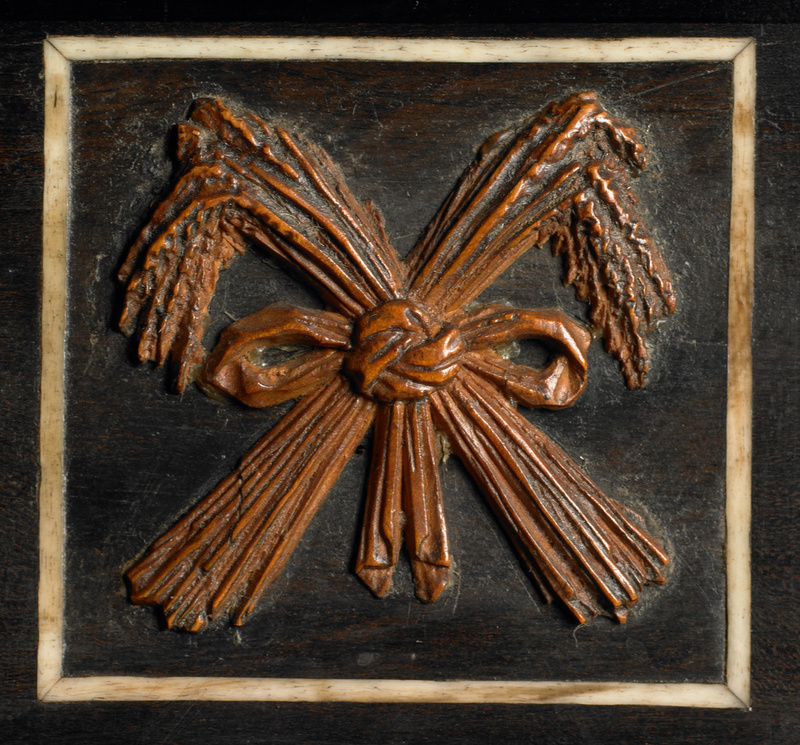 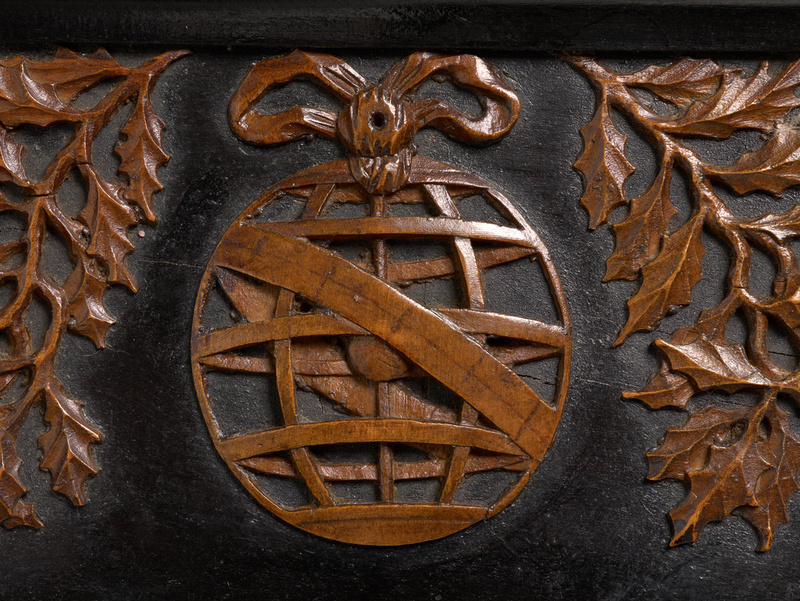 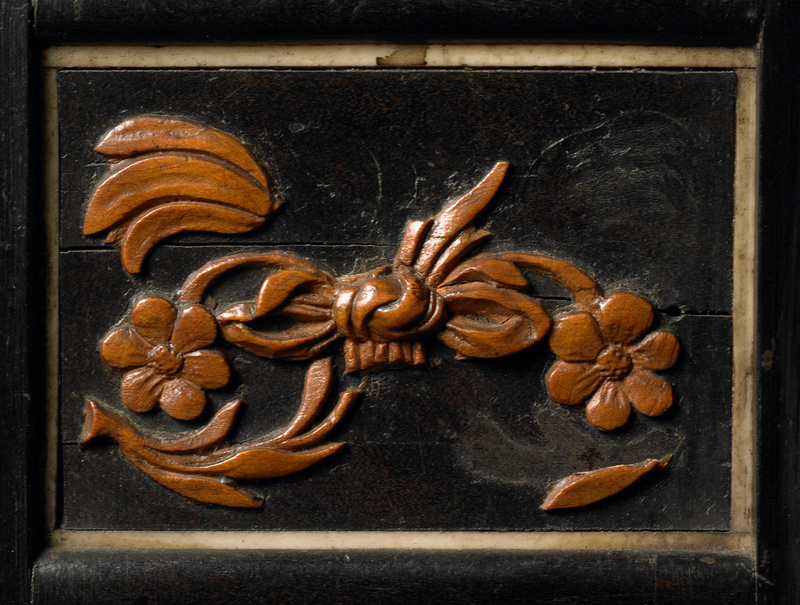 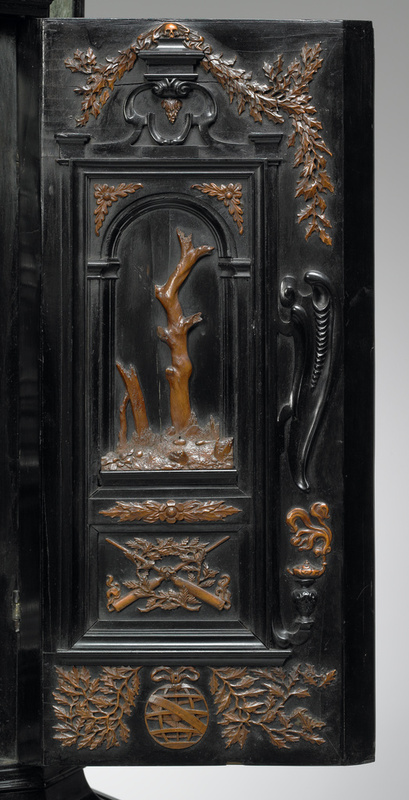 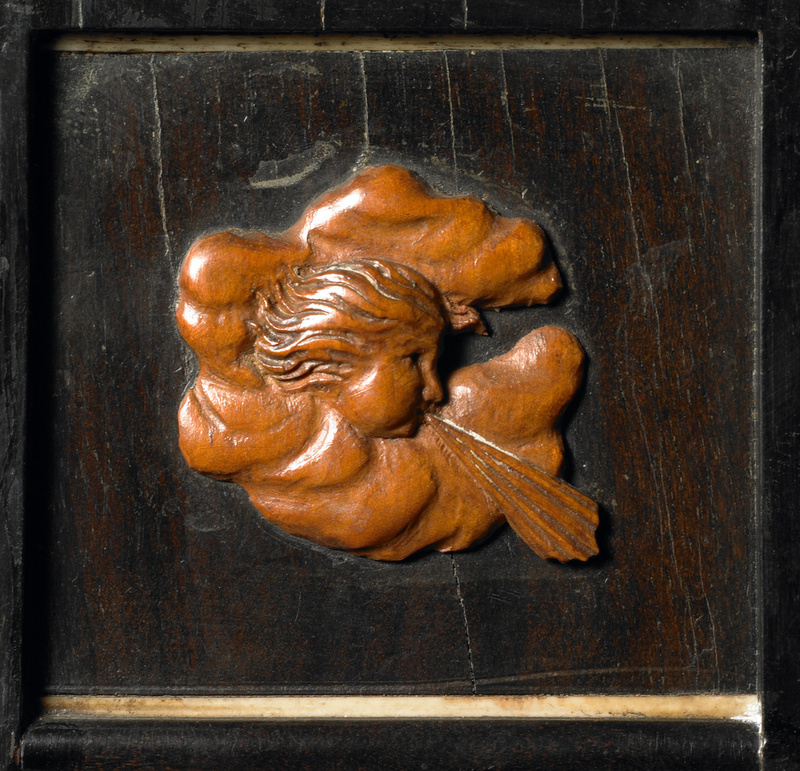 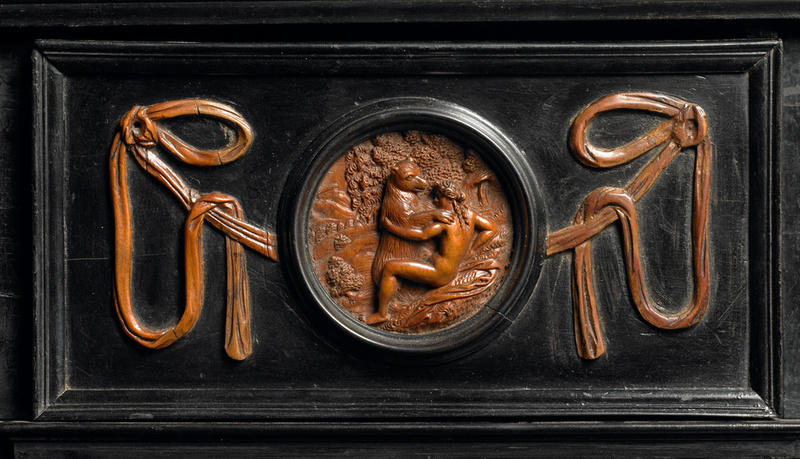 Vinckenbrinck signed several of the fruitwood reliefs on one side with his monogram, [AL] [VB]. 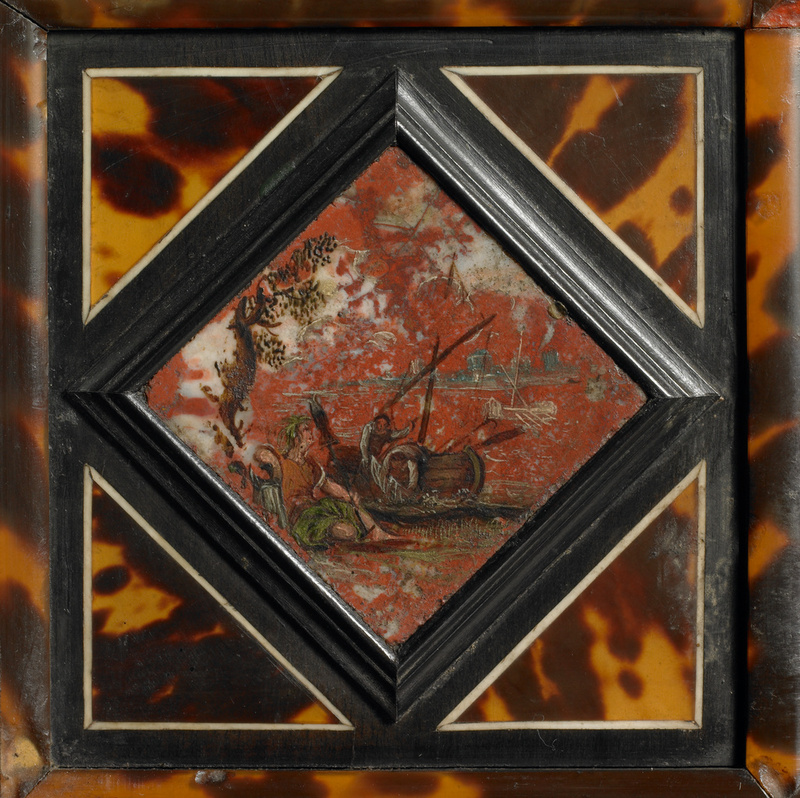 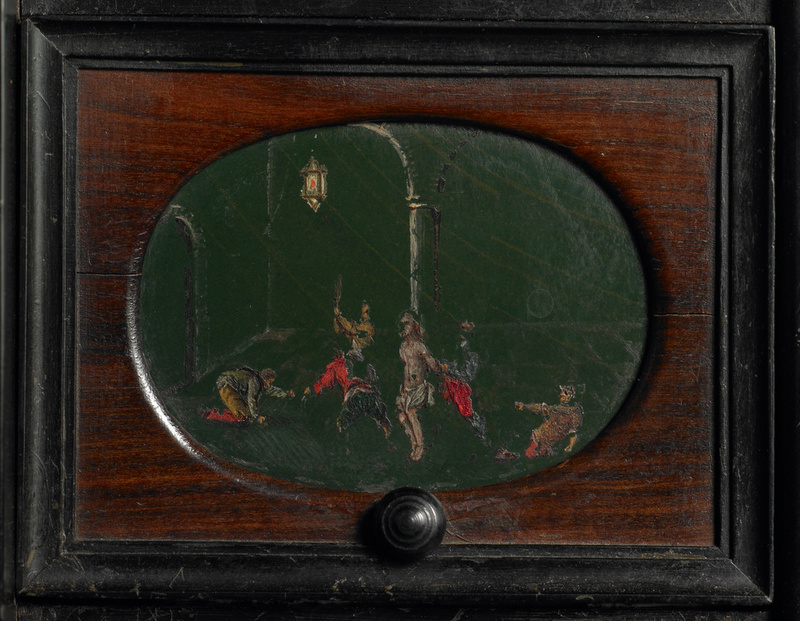 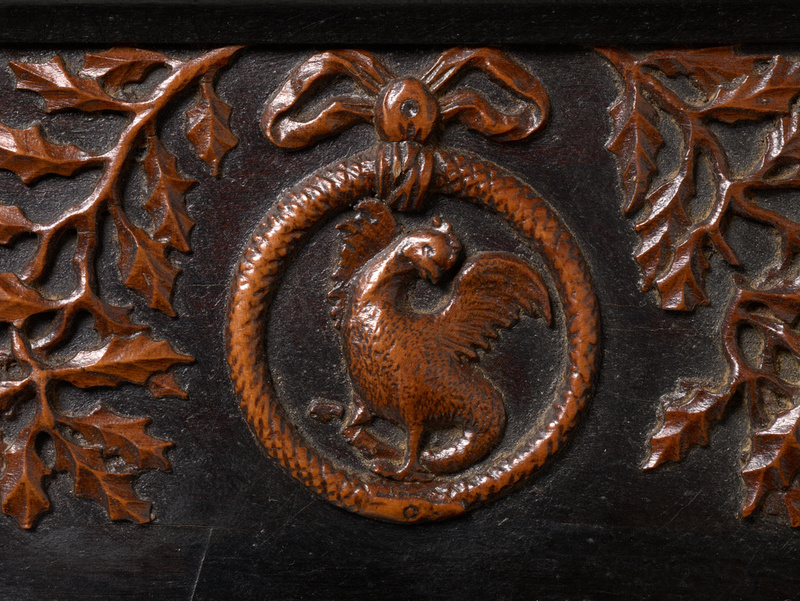 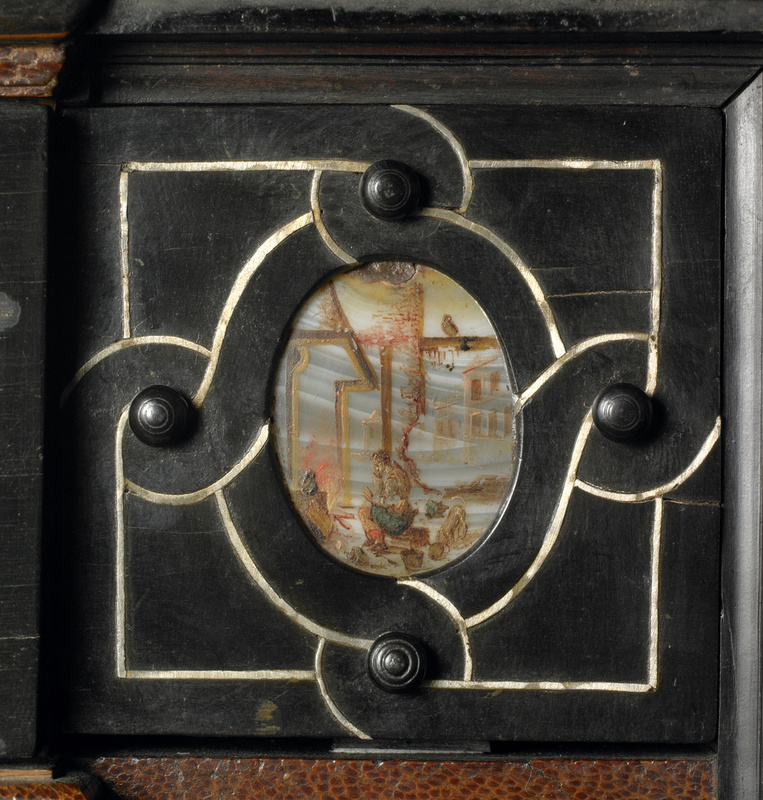 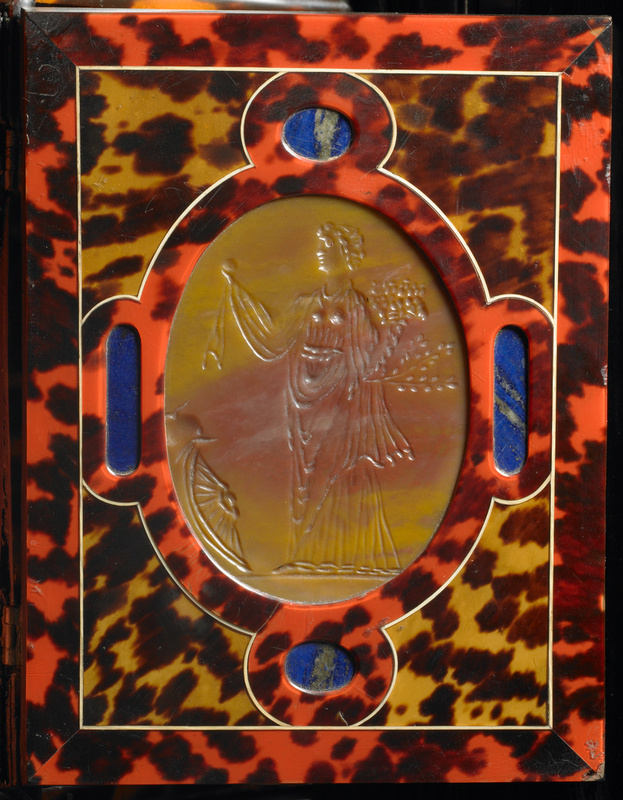 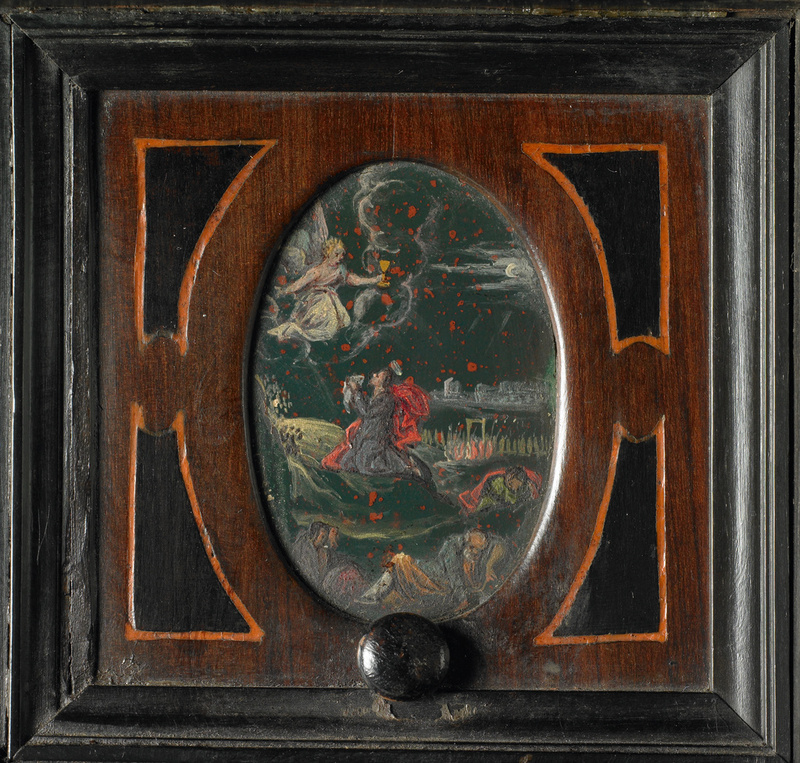 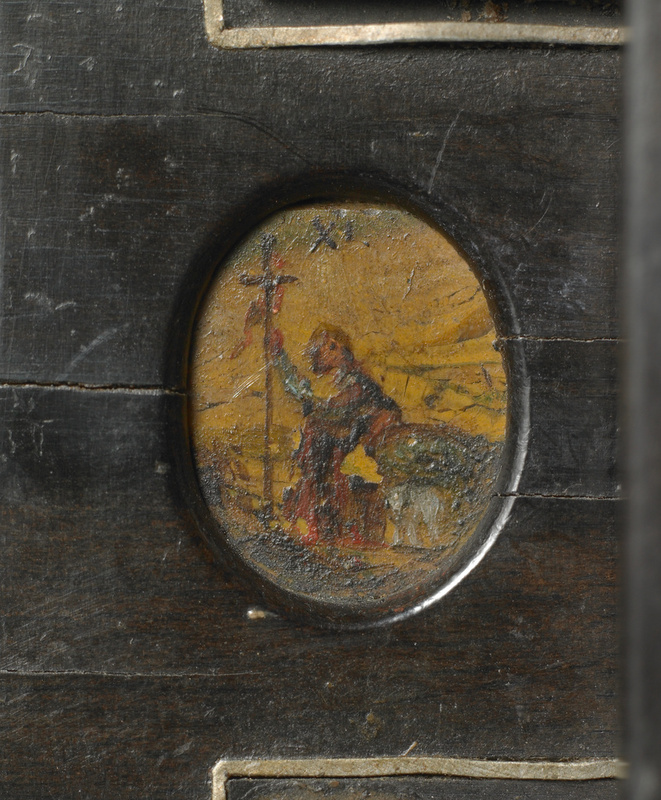 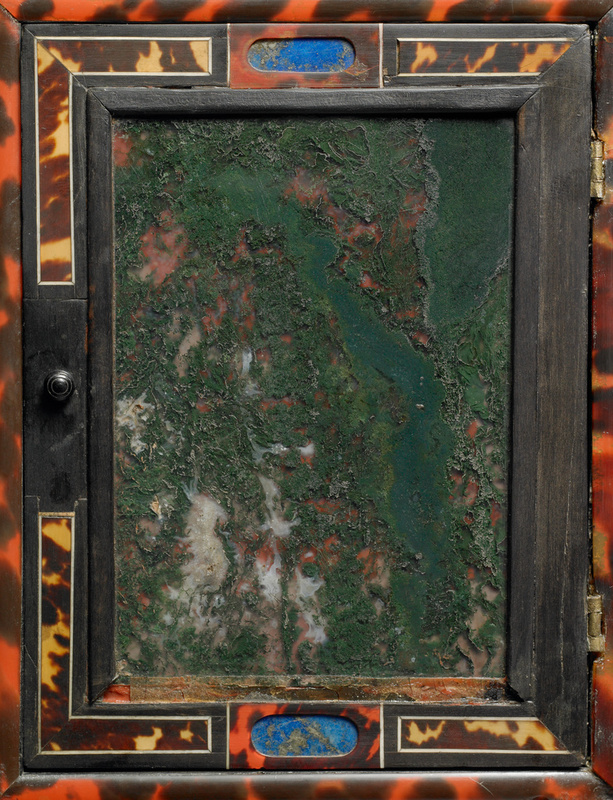 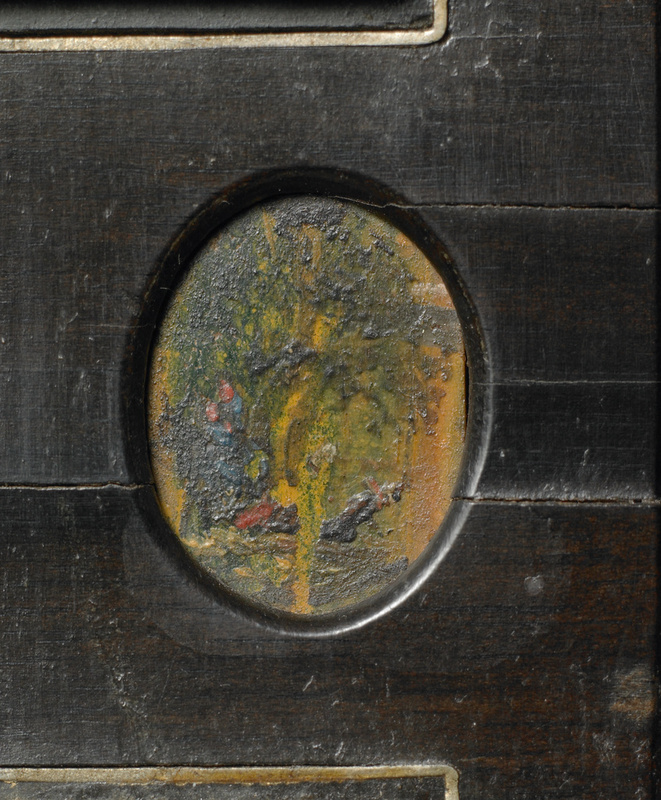 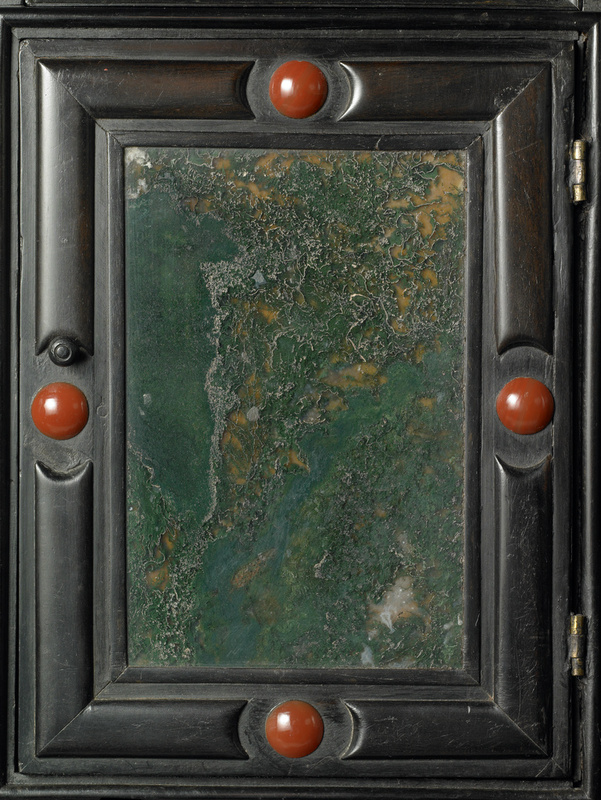 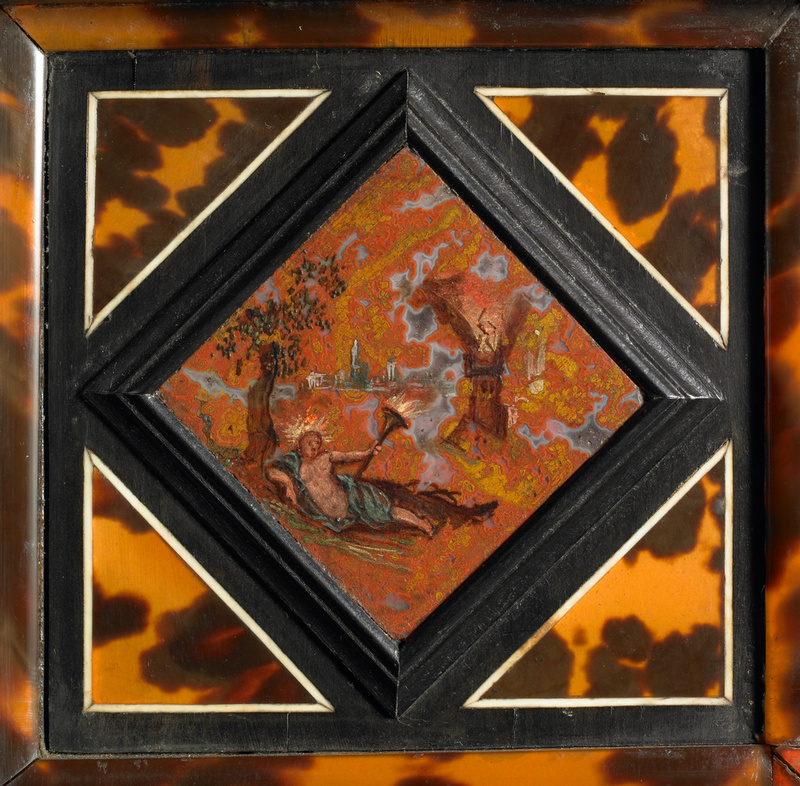 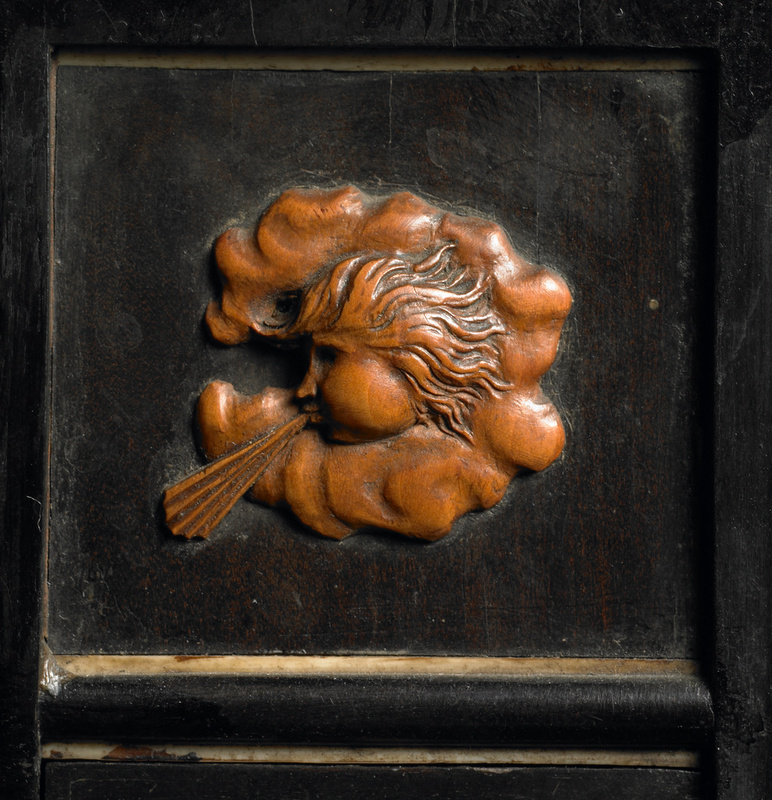 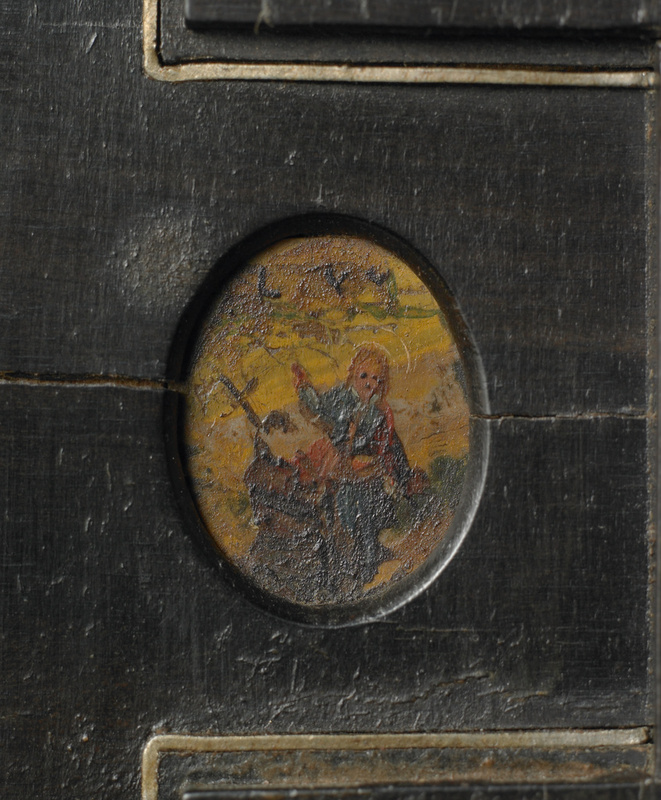 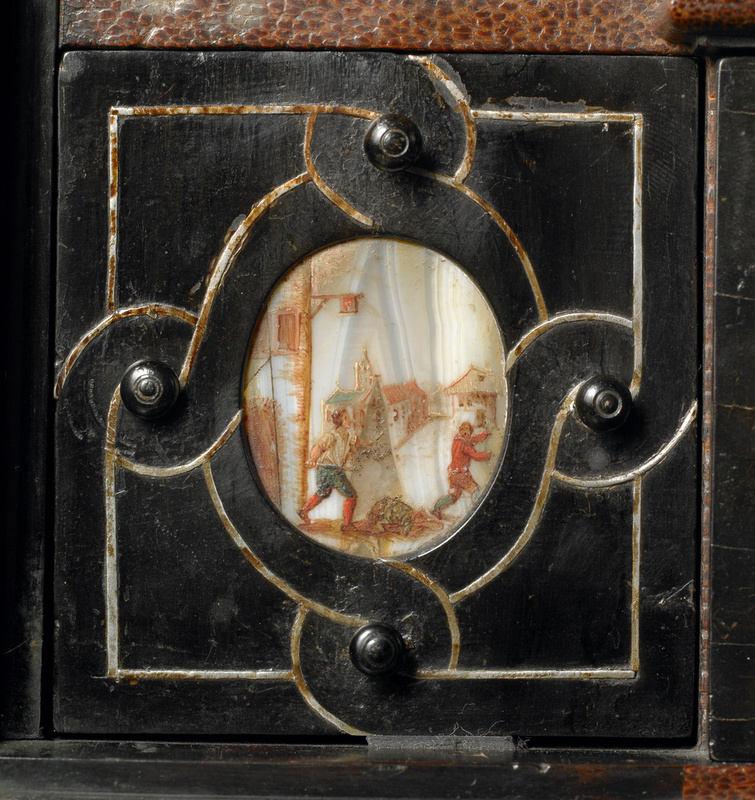 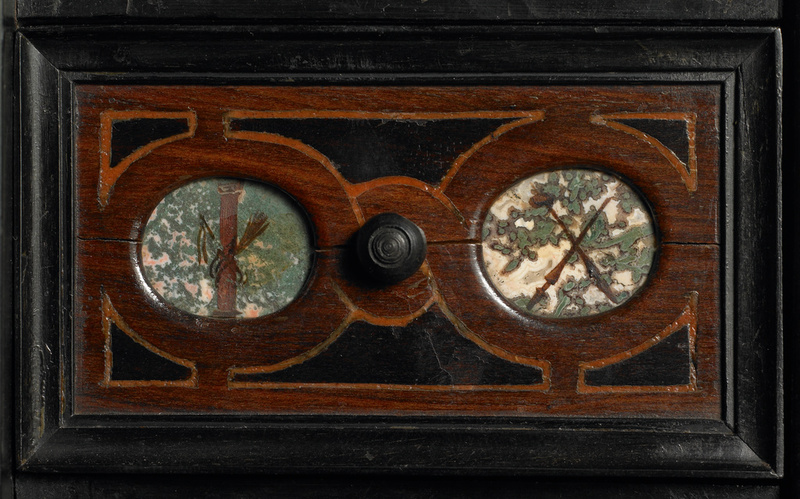 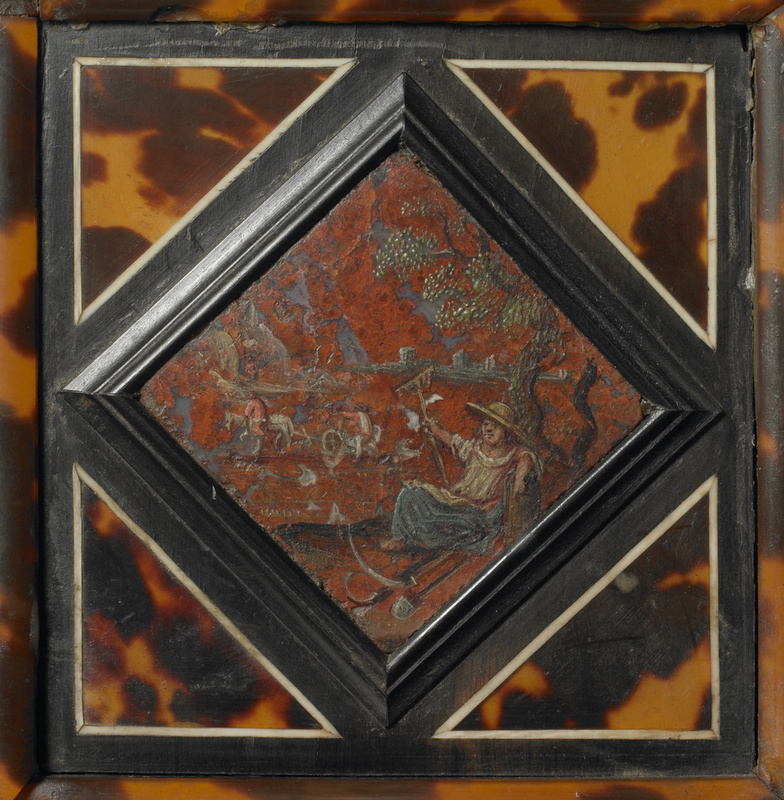 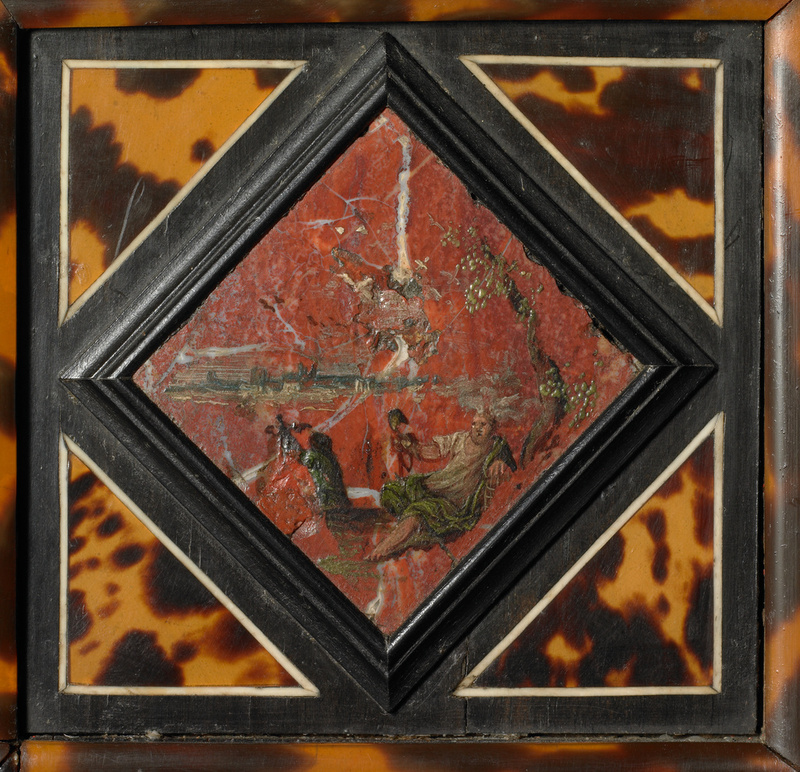 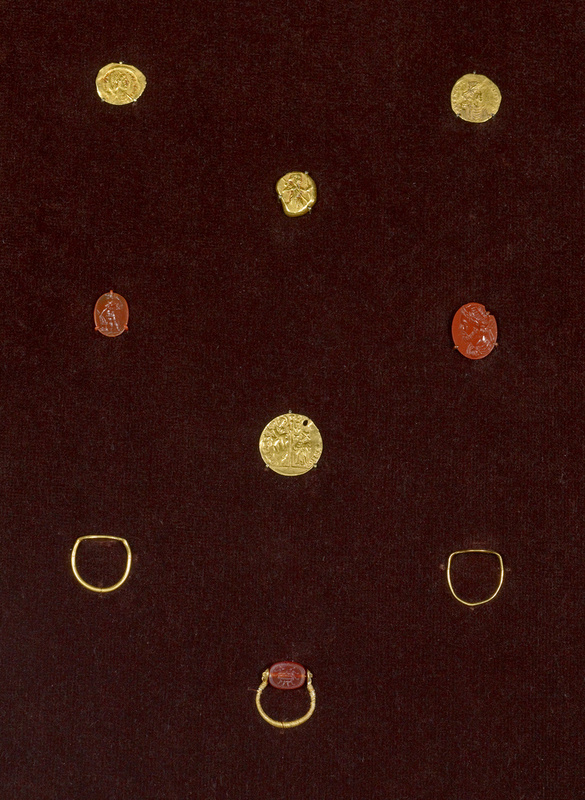 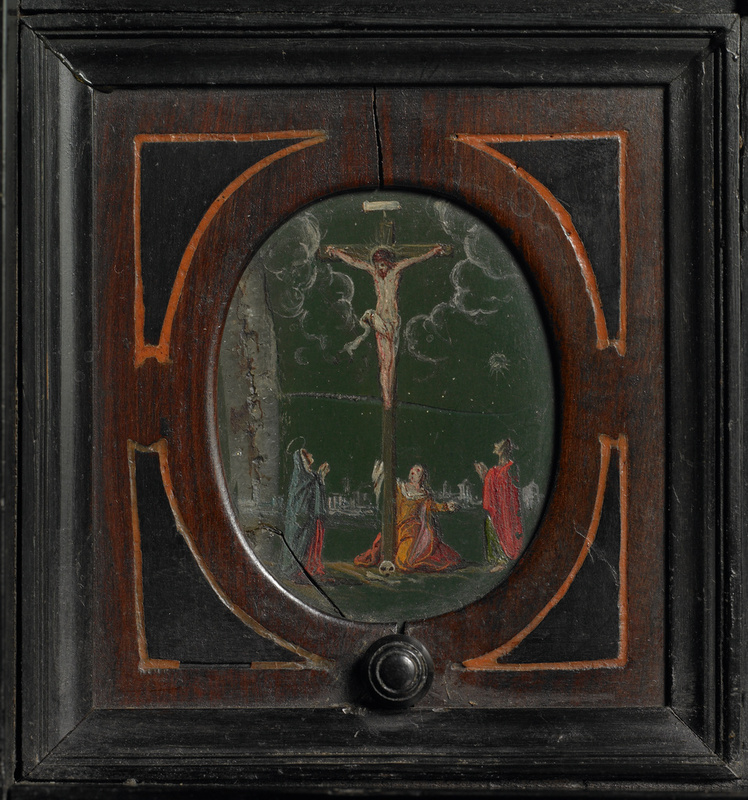 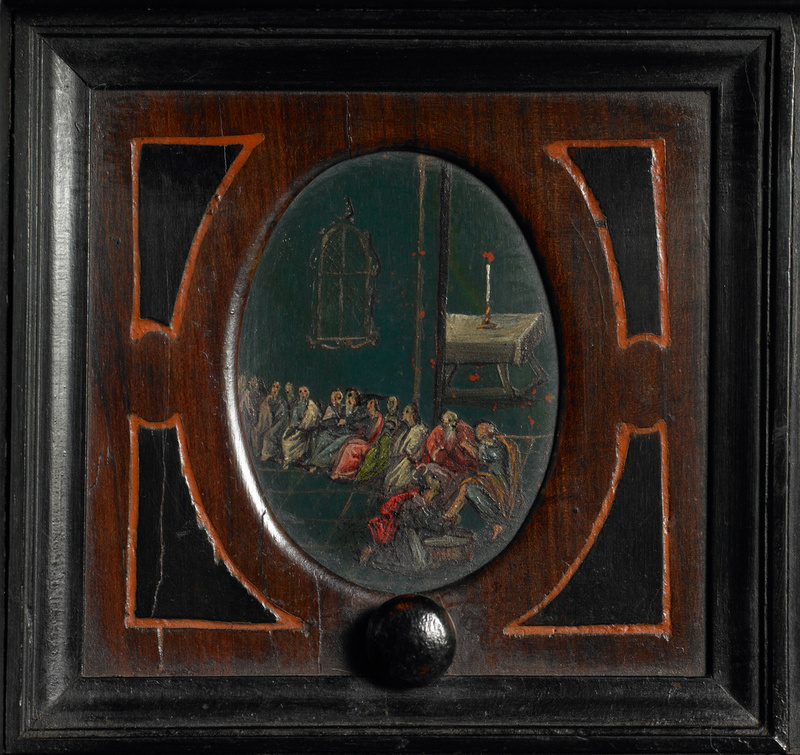 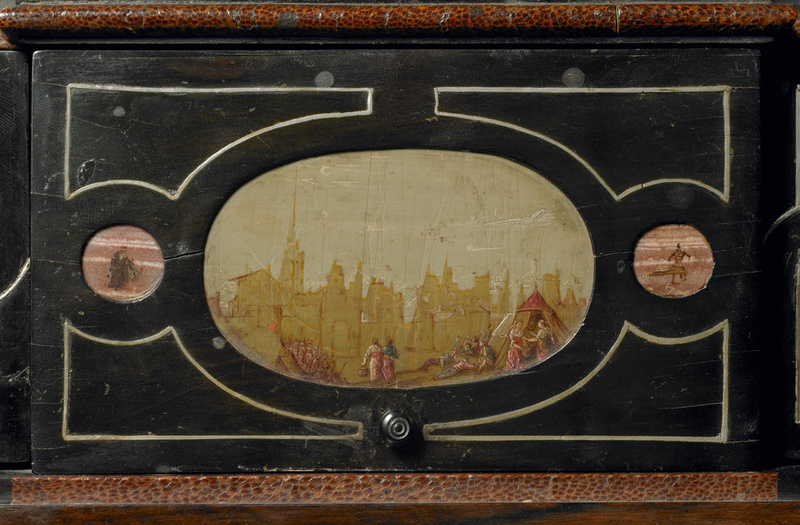 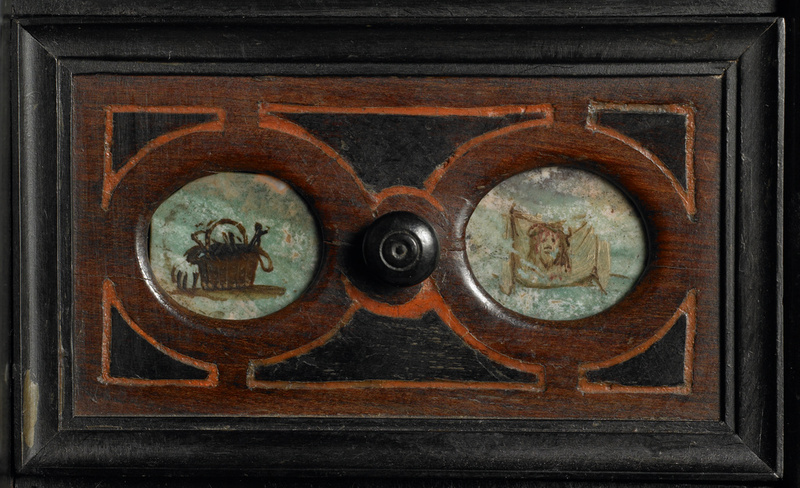 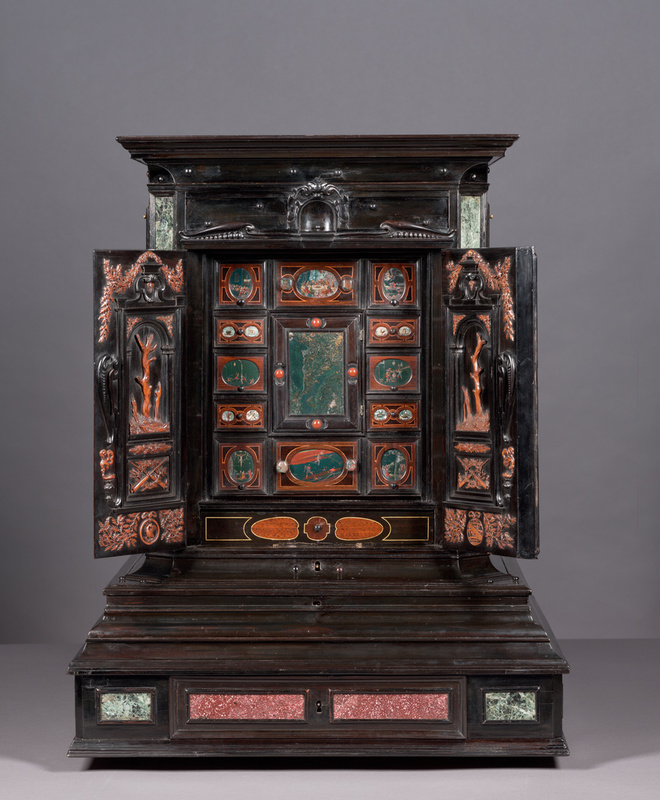 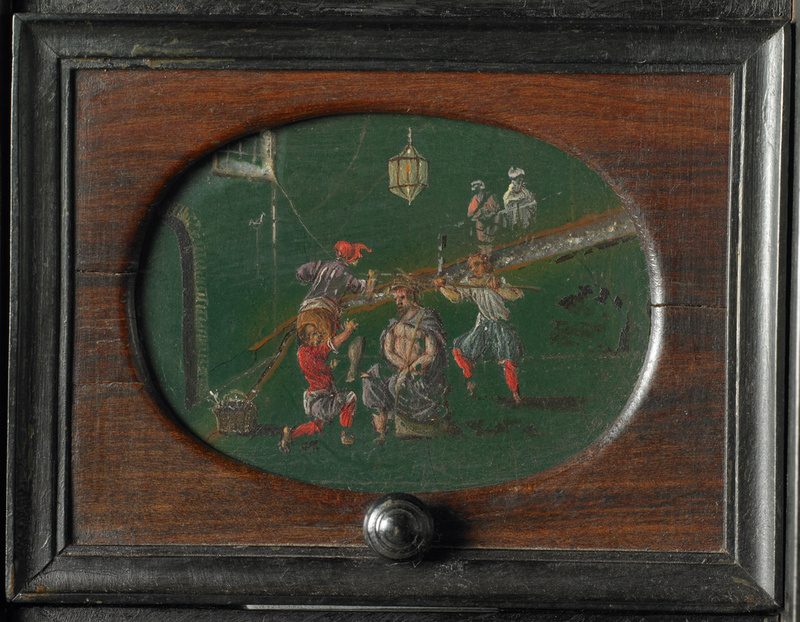 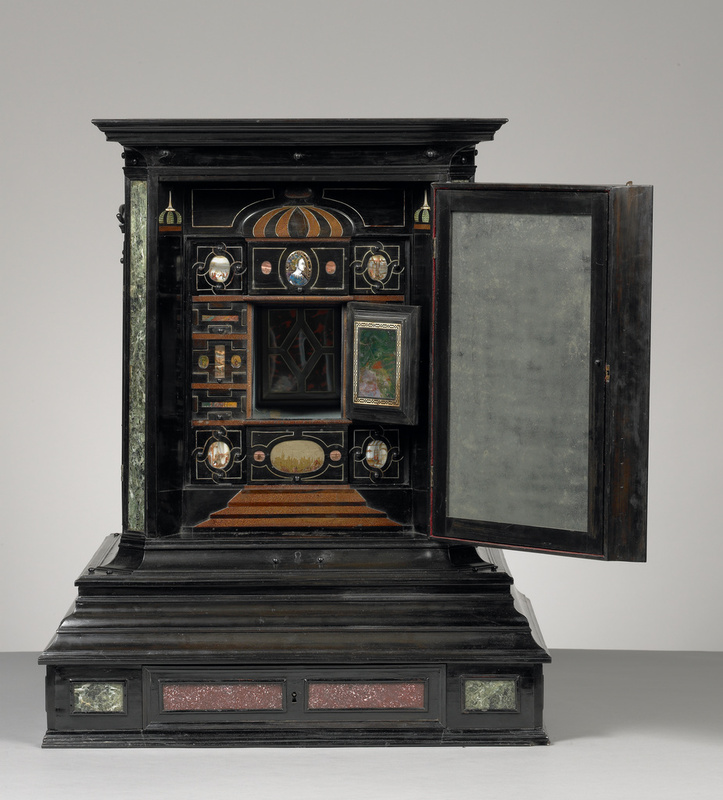 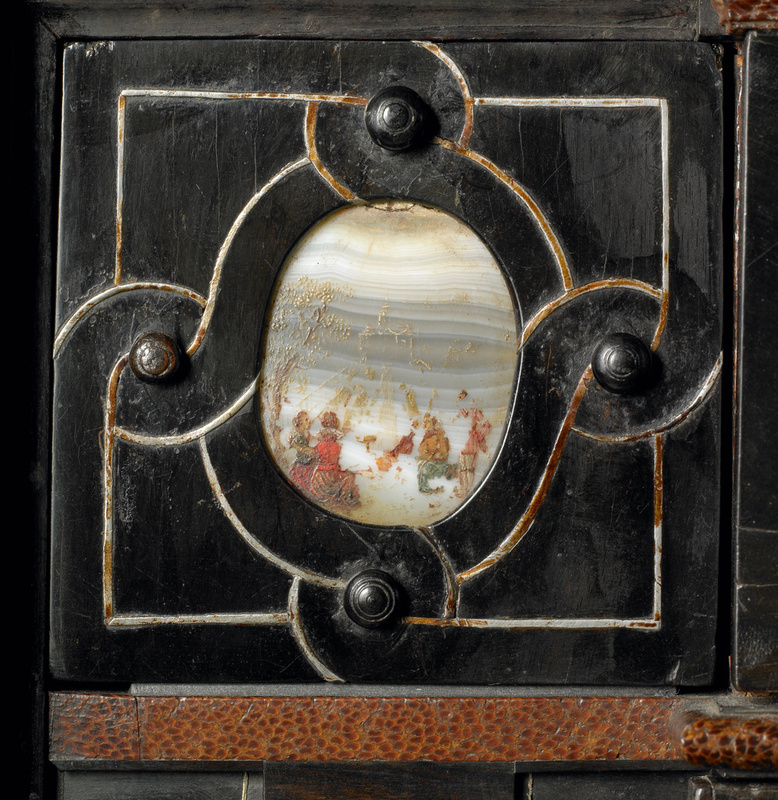 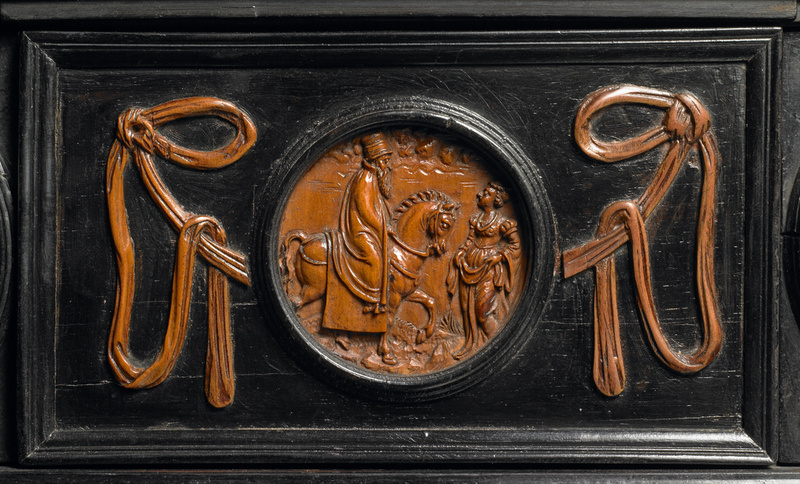 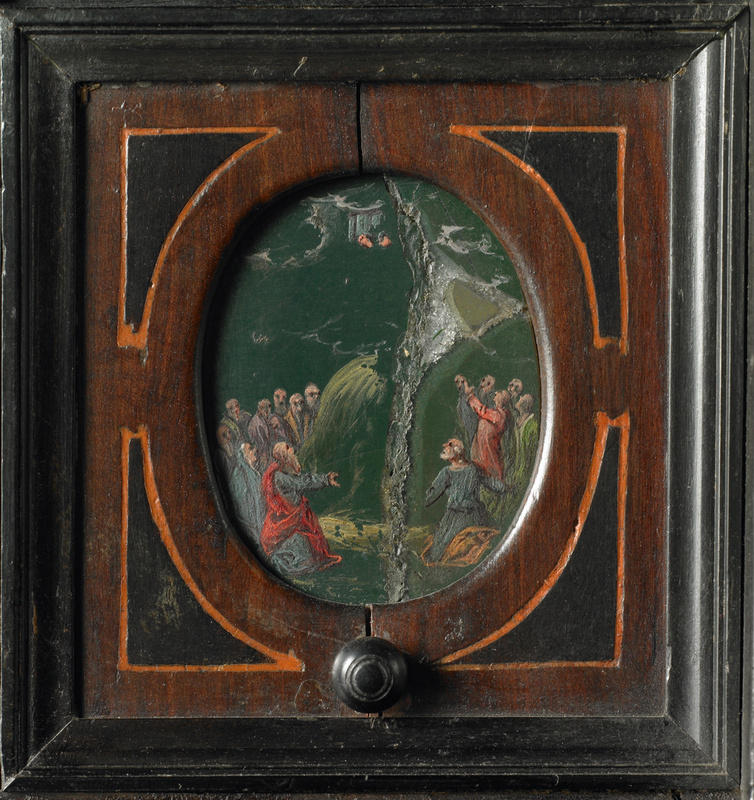 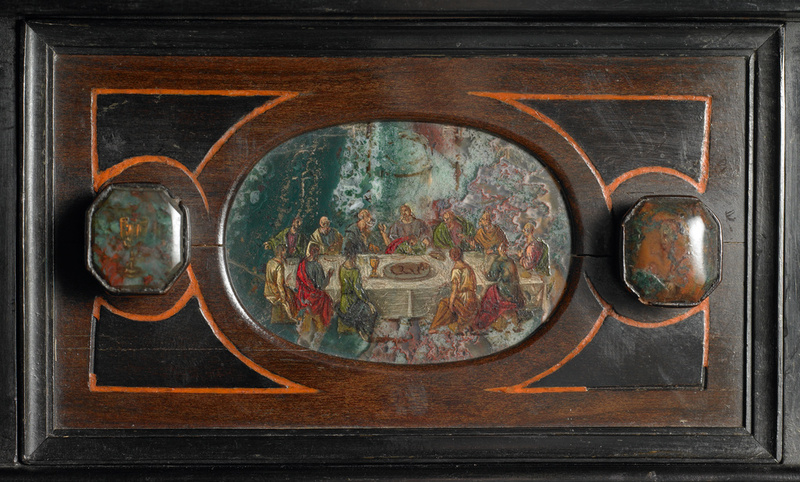 Each drawer is richly embellished in a variety of techniques and materials showing biblical, allegorical, historical, and mythological subjects. 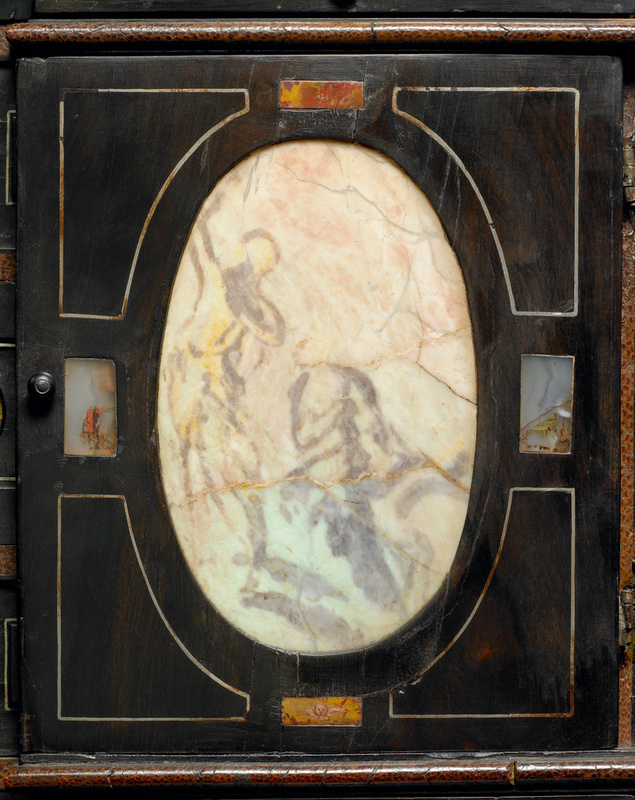 These include the symbols of the Passion, Judith and Holofernes, the contest of Apollo and Marsyas, the deaths of Cleopatra and Lucretia, and two Renaissance-style portrait medallions. 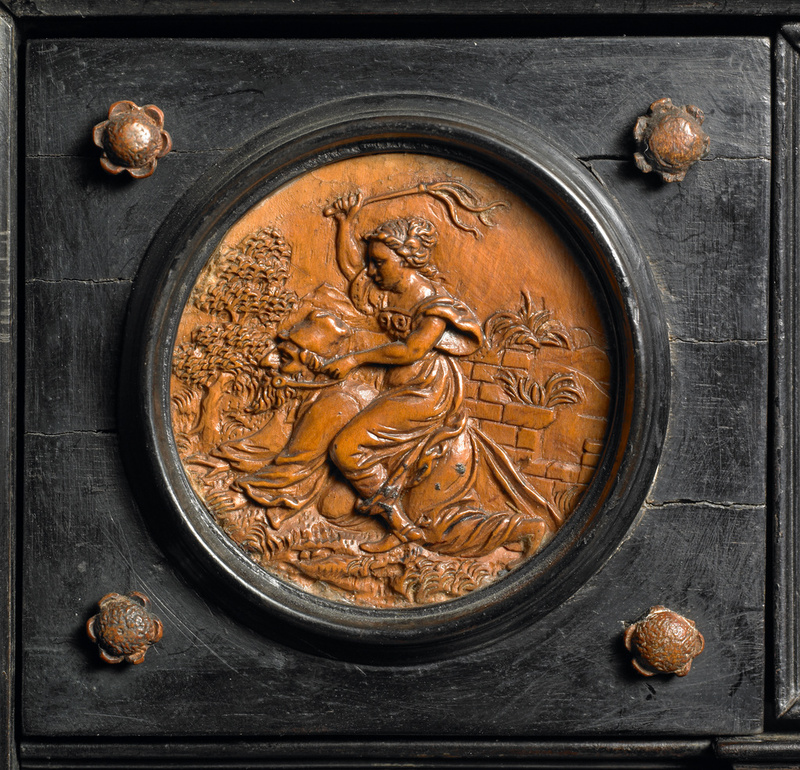 The number of subjects in which women figure prominently may have served a cautionary or moralizing function, while the religious themes express a concern for Christian virtue.